The IBS Alumni Federation gives you access to a vast network of professionals and offers you endless opportunities to connect, build relationships, participate and continue to learn from the IBSAF community. The IBS Alumni Federation is for all IBS alumni who seek personal, professional and intellectual opportunities, because your IBS advantage continues beyond graduation. 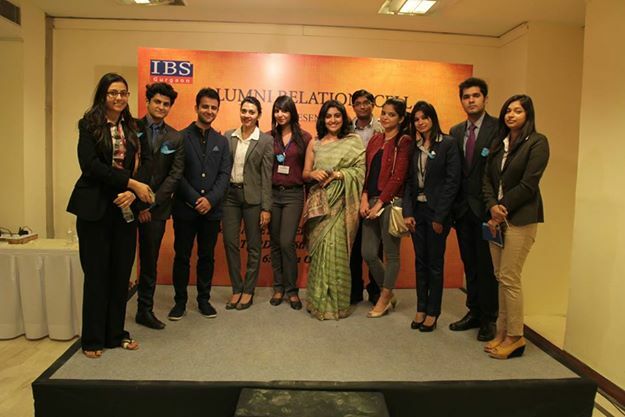 The IBS Alumni Federation is a membership organization comprising more than 43,000+ alumni of IBS. Founded in 1997, the Federation has a diverse and rich history of bringing alumni together to support the Institute, its students and each other. 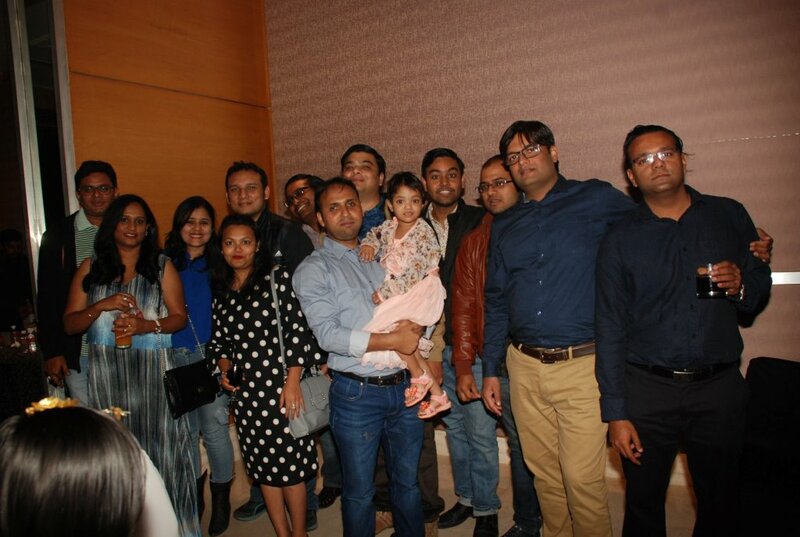 IBS Hyderabad organized ‘SUMMIT-The Super Alumni Meet’ at Peacock, Hotel Marigold, Hyderabad on 25th January, 2019. The welcome address by Dr. S Venkata Seshaiah, Director, IBS Hyderabad was followed by ‘lighting of lamp’ by senior alumni. Total 86 alumni members few along with family and children had participated in the meet. 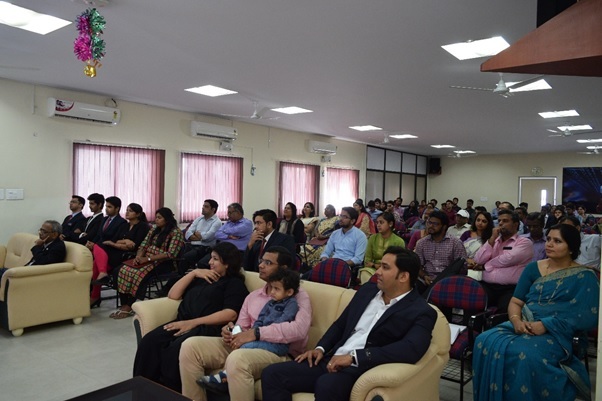 IBS Bangalore organized an Alumni meet REJOICE 2019 on 5th January,2019. Prof G V Muralidhara, Director, IBS Bangalore welcomed all of the alumni participated. Total 96 alumni members few along with spouse & children participated in the event. IBS Kolkata organized an Alumni meet on 21st December,2018 at The Saturday Club, Kolkata. The welcome address was given by Dr. Ajay Pathak , Director, IBS Kolkata. A total of 113 Alumni members few along with spouses and kids participated in the meet. 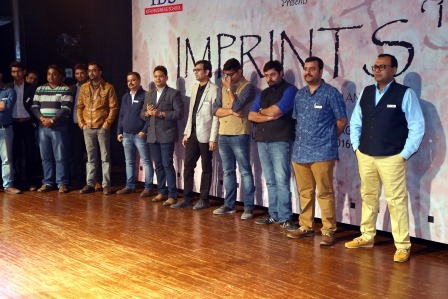 IBS Gurgaon has conducted the Annual Alumni Meet IMPRINTS 2018 at V Club, Gurgaon on 8th December, 2018.Total 515 alumni members few along with spouse and children participated in the event. 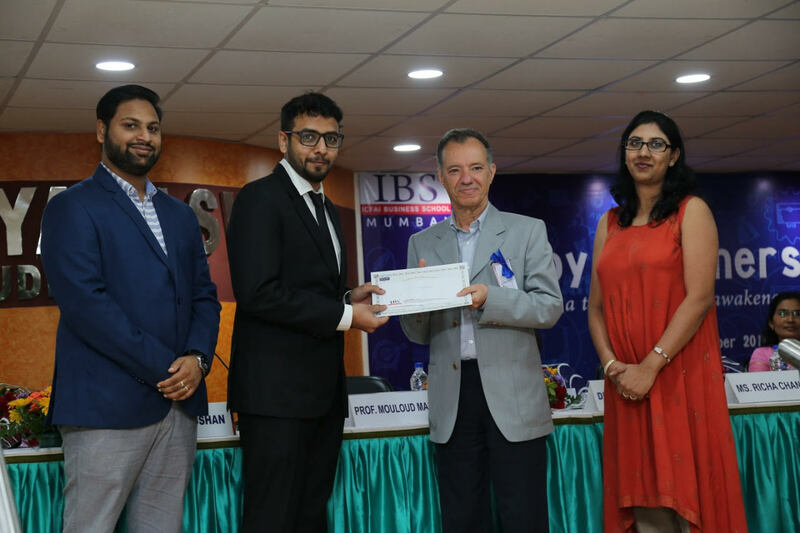 IBS Mumbai organized a unique Knowledge Sharing Programme for alumni with the theme, “Changing Business Through Digital Analytics and AI” on December 8th , 2018. 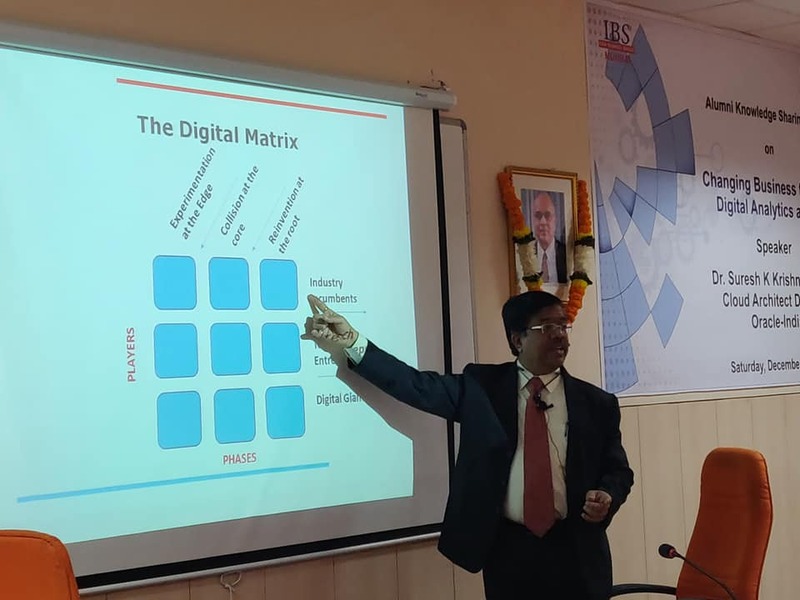 Dr. Suresh Kumar Krishnamurthy has conducted an excellent session by simplifying the concepts of digital analytics and AI to the layman and explained its role in day-to-day business and lives of individuals. The workshop was attended by 45 Alumni members. 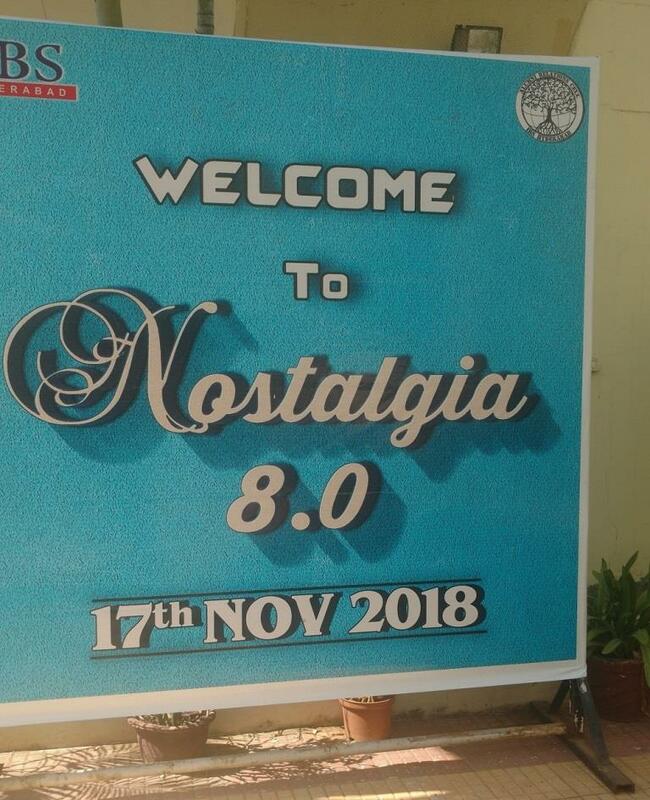 IBS Hyderabad Alumni meet “Nostalgia 2018” was organized on November 17th , 2018 at Courtyard, IBS Hyderabad. This year's theme was "Time Machine" which revolved around the idea of travelling back in time (2018 to 1997). 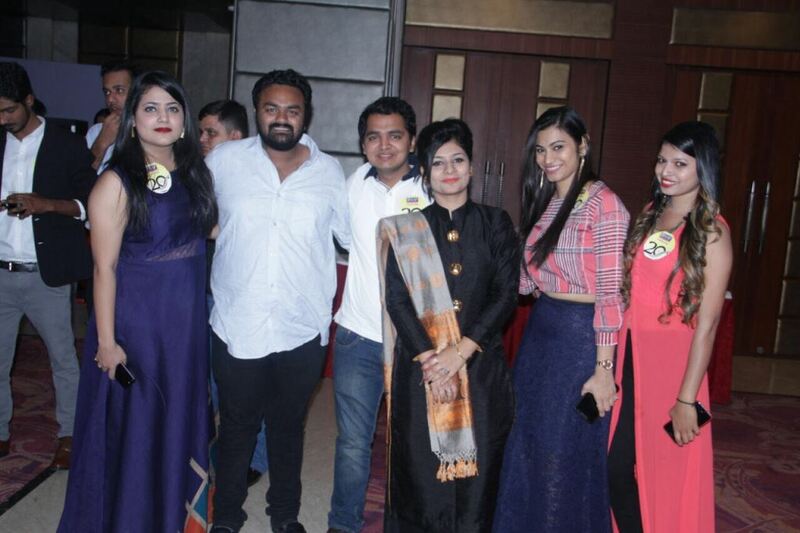 The annual pageant of Mr. and Miss Nostalgia was conducted and it was a fun filled interaction with the alumni. 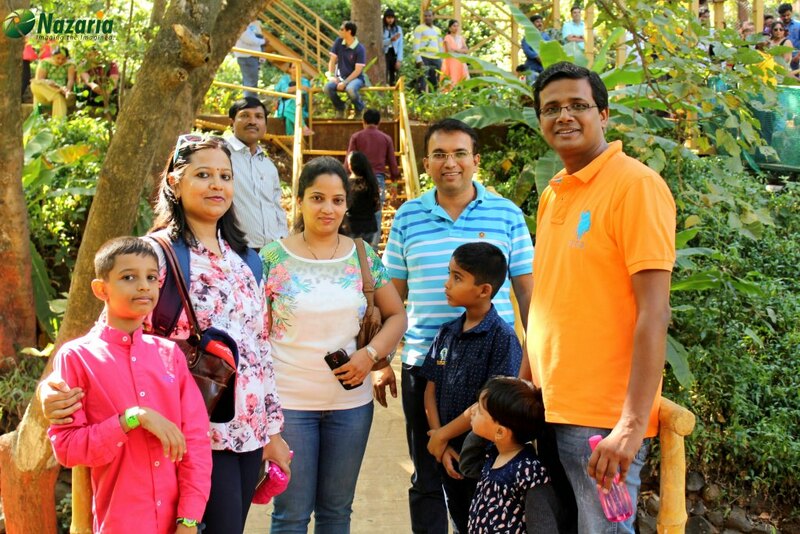 A total of 343 Alumni members few along with spouses and kids participated in the meet. Chennai Alumni Meet was organized on 27th October, 2018 at Hotel Clarion, Chennai. The meet was attended by 57 alumni members few along with family members & children. Guwahati Alumni Meet was organized on 29th of September 2018. A total of 27 alumni present in propinquity of Guwahati gathered at Hotel Radisson Blu, Guwahati, to be a part of this sublime evening. 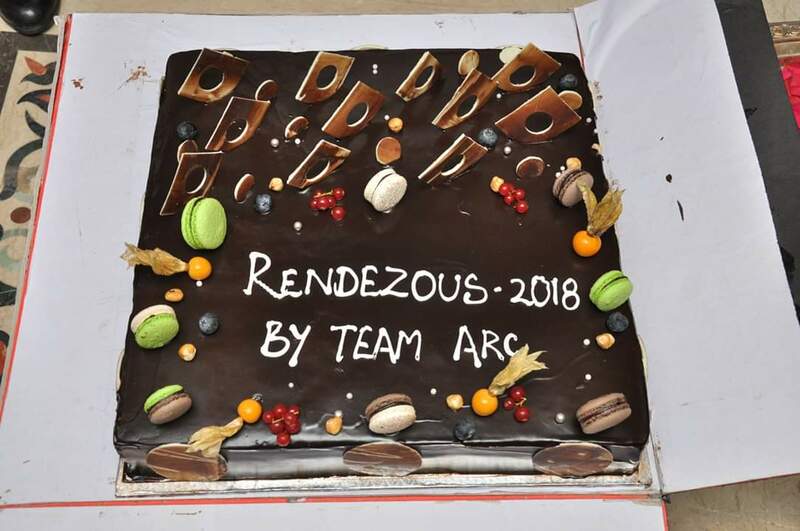 IBS Hyderabad Alumni Meet “RENDEZVOUS 2018 “ was held on September 8, 2018 at the Grand Ball room, Hotel Taj Krishna, Banjara Hills, Hyderabad. The colorful event was inaugurated with the lighting of Lamp followed by the welcome address by Dr. S. Venkata Seshaiah, Director, IBS Hyderabad. The Meet was attended by 121 alumni members few along with family members & Children. 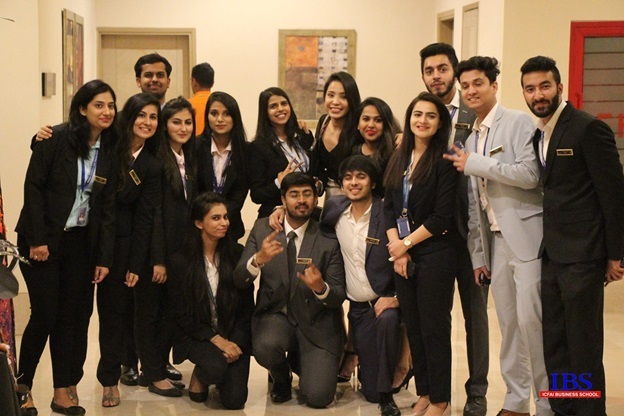 The Alumni Meet - Flagship event of the IBS Alumni Federation was organized on the 20th October 2018 at Hotel Hilton, Jaipur. Meet was attended by 66 Alumni members. Alumni were very happy and appreciative of bringing them together. IBS Kolkata organized an Alumni meet on 8th September,2018 at Saturday Club. The welcome address was given by Dr. Ajay Pathak , Director, IBS Kolkata. 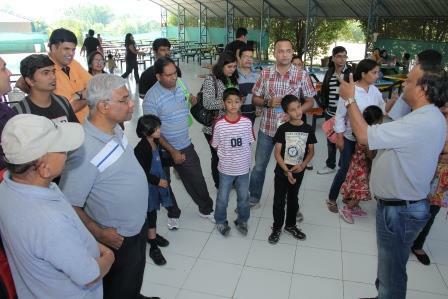 A total of 47 Alumni members few along with spouses and kids participated in the meet. IBS Bangalore organized an Alumni meet REGROUP 2018 on 22nd September,2018. 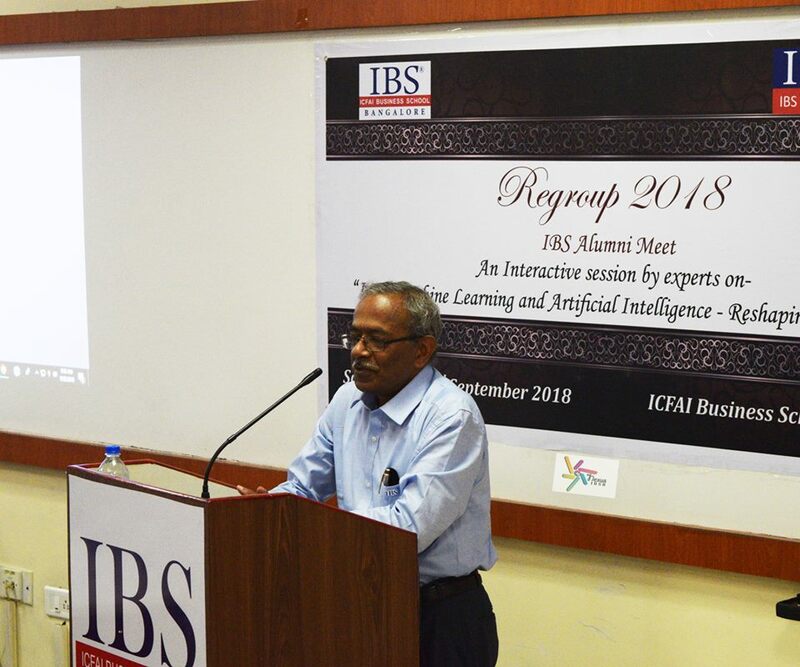 Prof G V Muralidhara, Director, IBS Bangalore addressed the audience and introduced five distinguished speakers who came from different verticals of expertise and bought in the great amount of corporate exposure to the alumni members who had assembled for the meet. 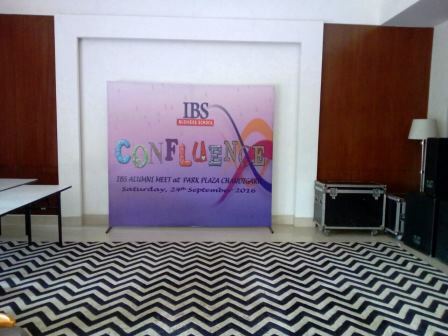 The Annual IBS Chandigarh Alumni Meet, Confluence, was organized on 29th of September 2018. 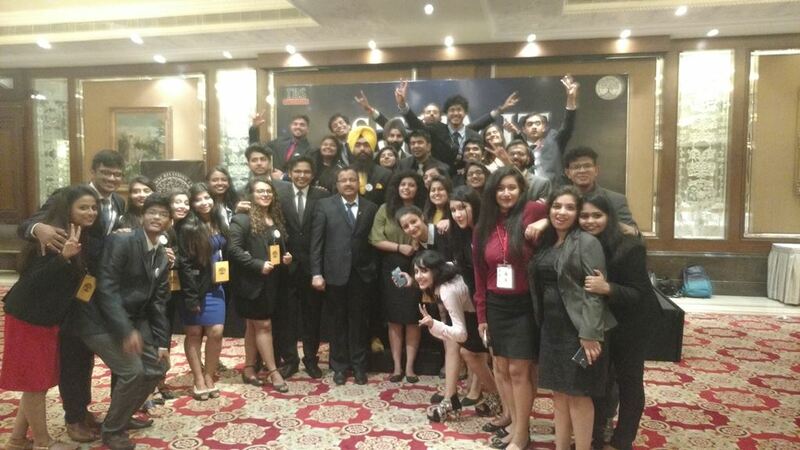 A total of 35 alumni present in propinquity of Chandigarh gathered at Hotel Ramada Plaza, to be a part of this sublime evening. 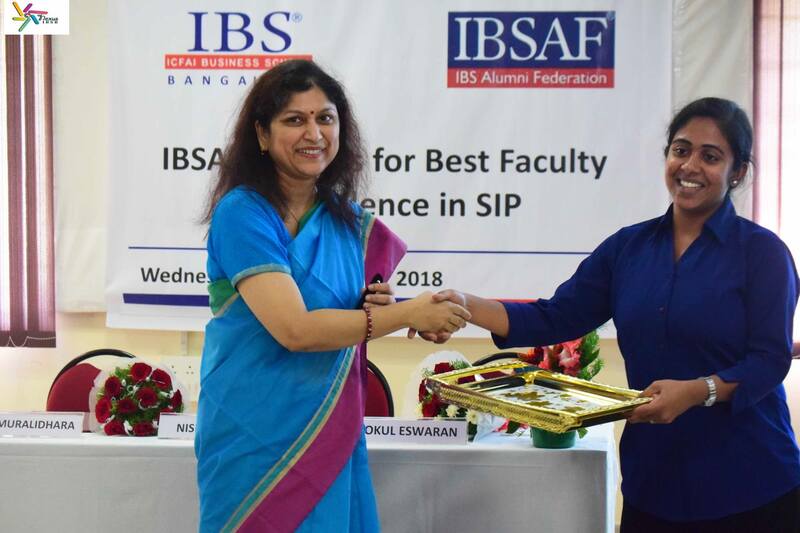 IBS Hyderabad conducted the IBSAF Awards for best SIP & best teachers event on the auspicious day of Teacher’s day, 5 th September, 2018. Professor Debajani Sahoo and Dr Venkata Seshaiah were recognised by the title of ‘Best Teacher for 2017-2018’ and ‘Institution Building Award 2017-2018’, respectively. The event was graced by our respected Director- Dr.Venkata Seshaiah , Dean- Professor Shylajan and Alumni Relation Cell mentor- Professor Mahesh Kumar Soma. The chief guests for the evening were h onourable alumni -Mr. Tanay Kedial(1997), Mr. Rakesh Venkatachalam(1997), Mr. Rahul Jain(2010) and Ms. Sangam Dubey(2013). 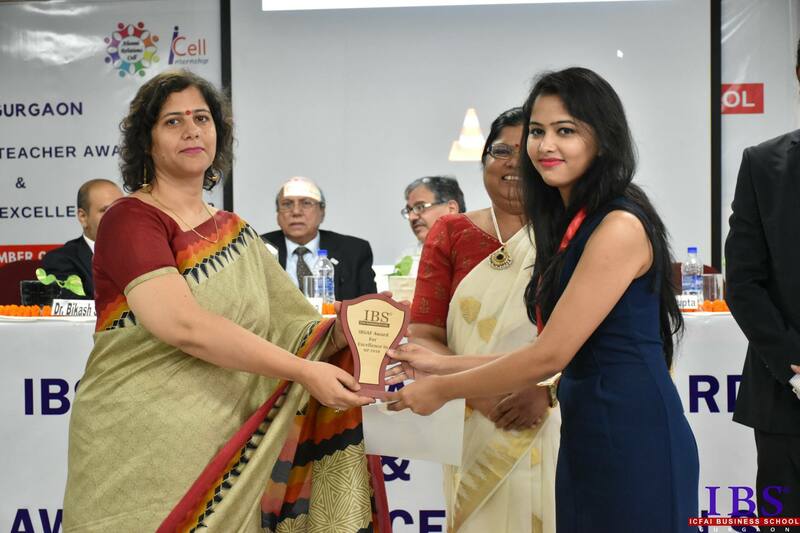 IBS Ahmedabad organized the IBSAF awards function on September 5th , 2018. IBSAF Best Faculty & Institution Building Award presented as a way of recognizing outstanding performance & IBSAF Awards for Excellence in SIP were presented. IBSAF Awards Function at IBS Bangalore is held on September 5 th on the Teacher’s Day .This is a special day on the campus, when hopes are high for the recognition of stellar performances. IBS Gurgaon IBSAF Awards 2018 held on 5th September was conducted in order to acknowledge the excellent performance of teachers and students for their SIP. Like every year, IBS Mumbai celebrated Teachers Day by felicitating its esteemed Faculty Members with Best Faculty Award for Overall Excellence and Award for Institution Building. The awards were presented by Campus Head to the Award winners as a way of recognizing outstanding performance. 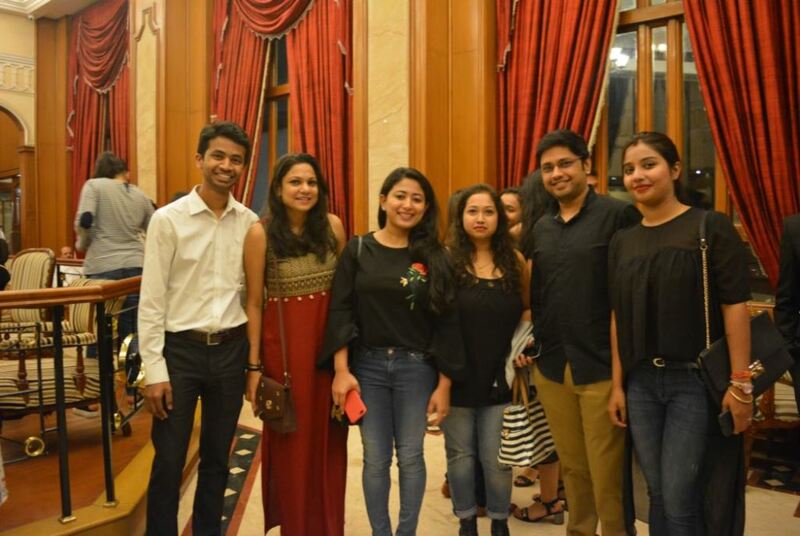 ‘Memories’ – a grand Alumni Reunion was held at Hotel Rodas, The Ecotel Hotel, Mumbai on Friday, September 28, 2018. Around 167 alumni members few along with spouse & children attended the happy gathering. 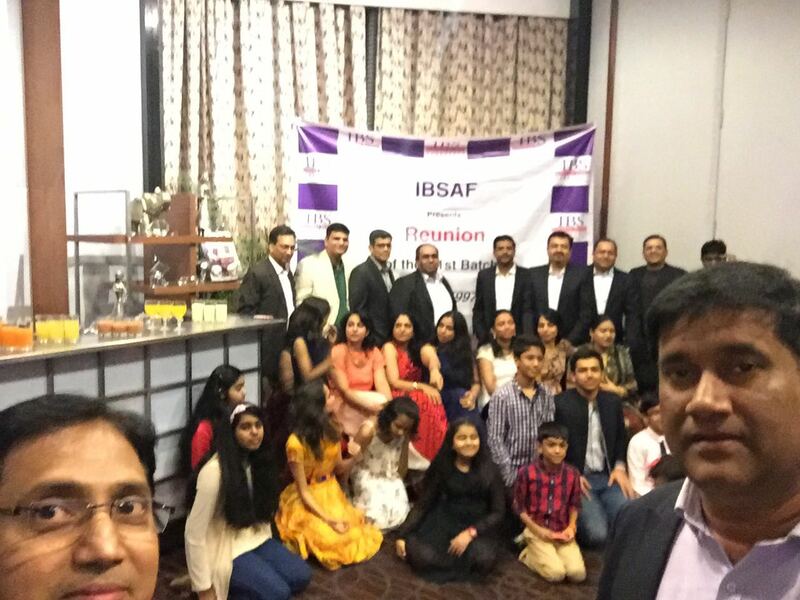 IBS Bangalore Alumni Meet for the batches 1997 - 2008 conducted on 8th September, 2018 at Hotel Royal Orchid, Bangalore. 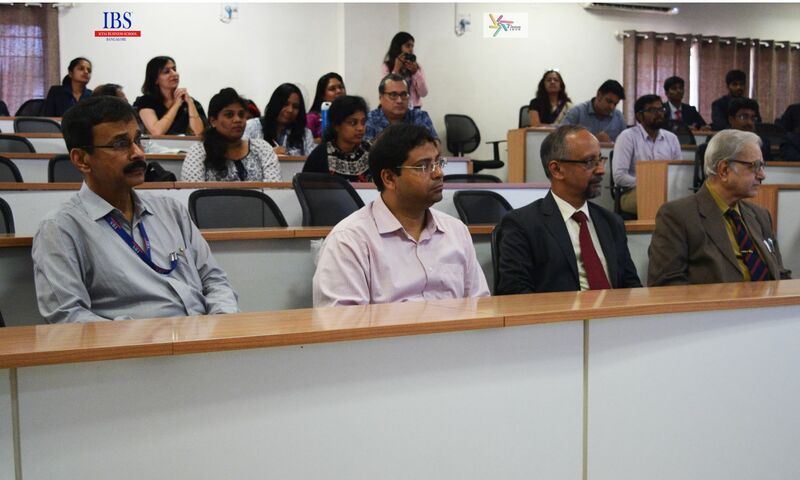 Prof. G. V. Muralidhara, Director, IBS Bangalore welcomed all of the alumni participated. Total 55 alumni members participated in the event. 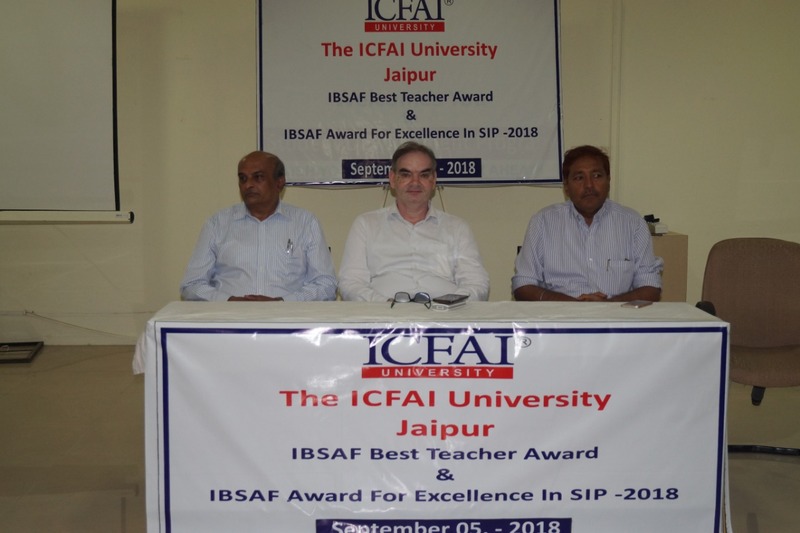 The IBSAF Award for Overall Excellence in Teaching 2018 function was Organized on 5th September 2018. Dr. G. D Rathod, Registrar (Officiating) & Associate Dean congratulated the winners and appreciated the effort made by faculty & SIP Winners at IBS Jaipur for their contributions towards making IBS an excellent institution. The Alumni Relations Cell, IBS Gurgaon, organized Knowledge Sharing Alumni Meet 2018 on the topic “Technical and Fundamental Analysis for Investment and Management Decisions” on August 18th 2018 in the campus. The guest speaker of the event was Prof. Varun Aggarwal. Prof. SC Sharma, Director of IBS Gurgaon addressed the gathering. The event ended with distribution of certificate of participation to the entire alumni present and a vote of thanks by Dr. Devika Vashisht. IBS Kolkata organized an Alumni meet on 14th July 2018 at Saturday Club . The welcome address was given by Dr. Ajay Pathak , Director, IBS Kolkata. Total 18 Alumni members few along with spouses participated in the meet. 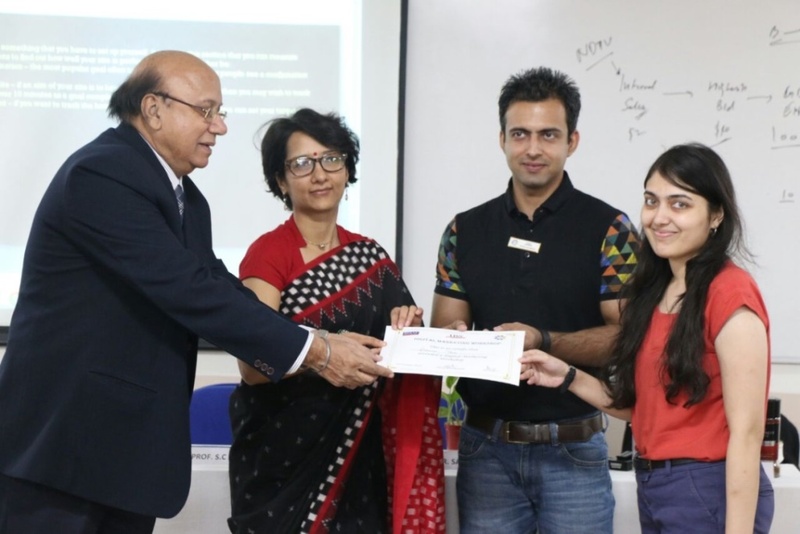 A One-Day Workshop on Digital Marketing was organized on 14th of July 2018 at IBS-Gurgaon campus. The resource persons of the workshop were Mr. Onkar Nath (Marketing Manager India, Mosaic Company) an alumnus of IBS-Gurgaon, 2010 Batch and Ms. Hempriya Banga (Product Manager, Newgen) an alumnus of IBS-Gurgaon, 2016 Batch. 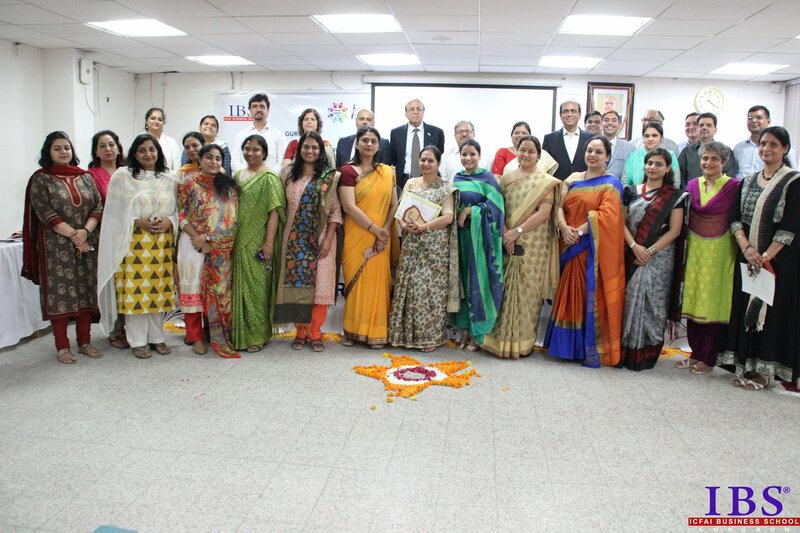 The alumni present in propinquity of Delhi NCR showed their presence at IBS Gurgaon campus, to be a part of this intellectual session.35 alumni members participated in the workshop. 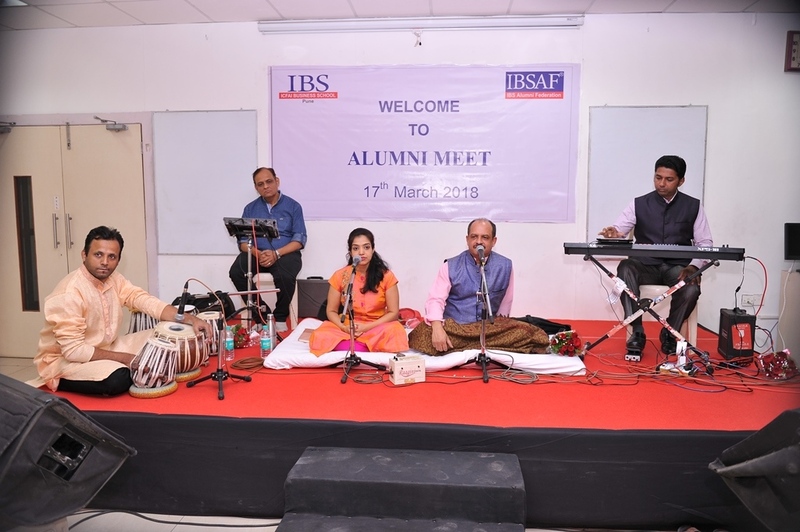 Alumni Social meet “SPARKLE” was held on 28th April 2018 at the IBS Mumbai campus. About 151 alumni with families attended. 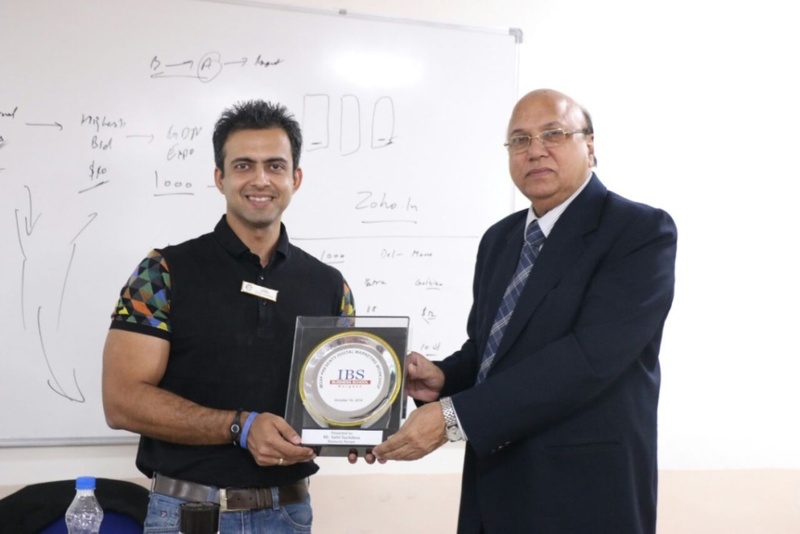 IBSAF felicitate the earliest batch representative Mr. Sougato Shome , Vice-President, Future Supply Chain Solutions Ltd.
IBSAF & IBS Pune had organized an alumni meet at IBS Pune campus on 17th March 2018. The special focus of this meet was to recognize and felicitate distinguished alumni for their professional contributions and personal achievements. A total of 40 alumni members, few along with their spouses were present. The meet commenced with the welcome address by Prof. GS. Narsing Rao, Director, IBS Pune. 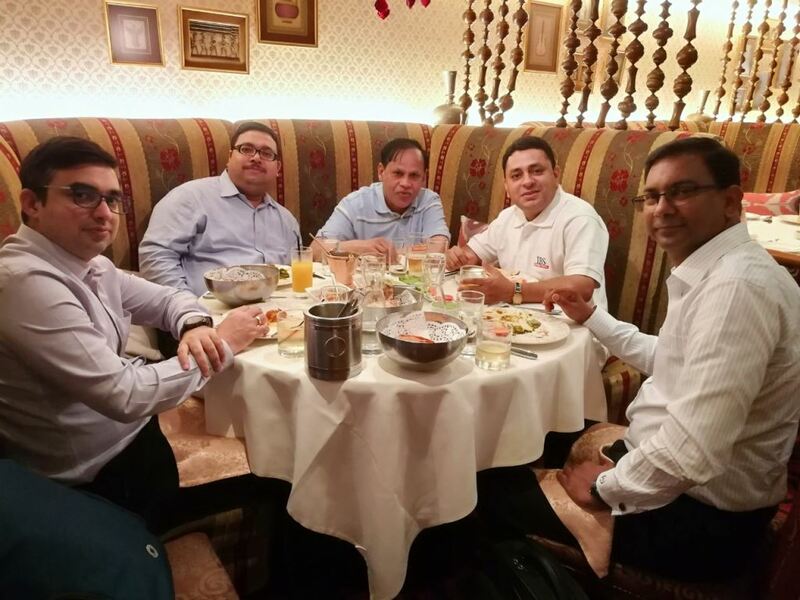 The committee finalized three alumni Mr Nitin Jain, Principal Consultant at Infosys, Mr. Vicky Abhishek, CTO, Coca –Cola (located in Singapore) and Mr. Shashi Saurav, Entrepreneur, Director Sales, Babu Business Solutions Pvt. Ltd. for the award of Distinguished Alumnus of IBS. 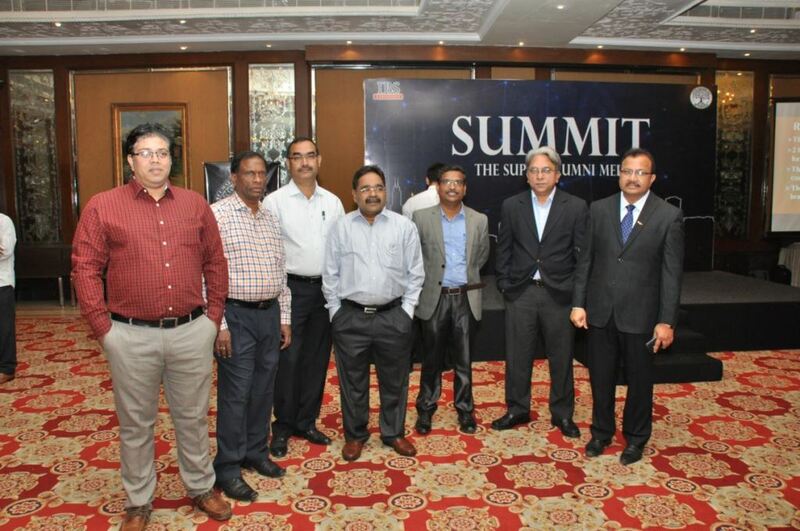 ‘SUMMIT-The Super Alumni Meet’ held on 27th January, 2018 at Taj Krishna. The event started with the welcome address by Dr. S Venkata Seshaiah, Director, IBS Hyderabad. It was followed by ‘lighting of lamp’ by senior alumni Mr. Manu Sreenivasan, Mr. Debjeet Sahoo and Mr. Gunjan. Around 70 Alumni members, few along with their spouses from different parts of the country graced the event. The Alumni Meet, Rejoice – 2017 held on 16th December 2017. Prof G.V. 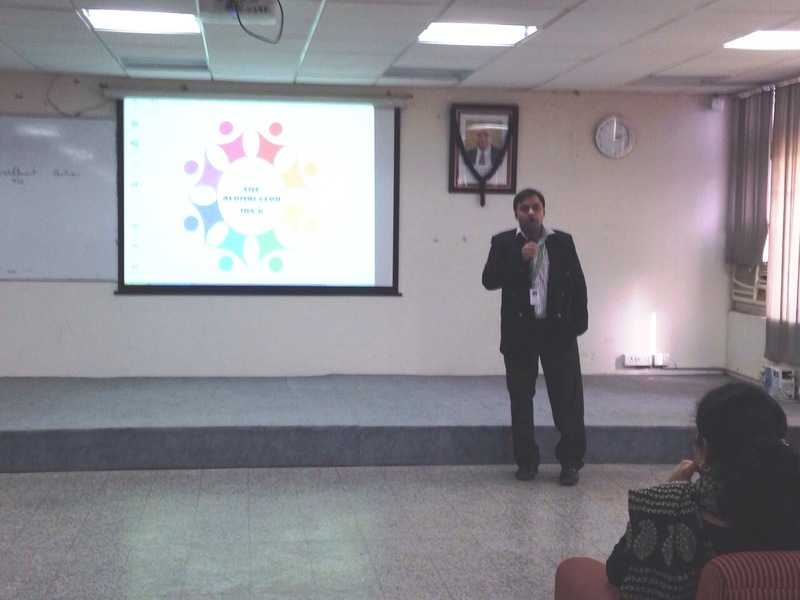 Muralidhara, Campus Head, IBS Bangalore greeted all the alumni and expressed his pleasure with the growth of the alumni. 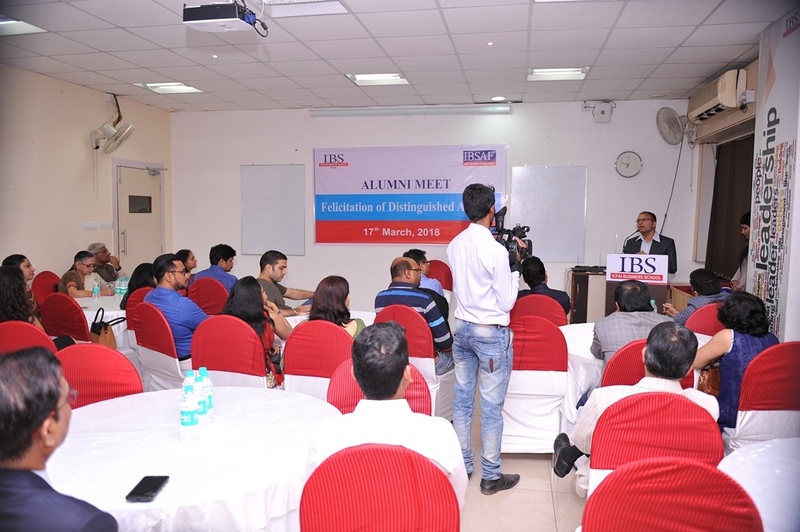 Total 148 alumni attended the meet from all the batches of all IBS Campuses. 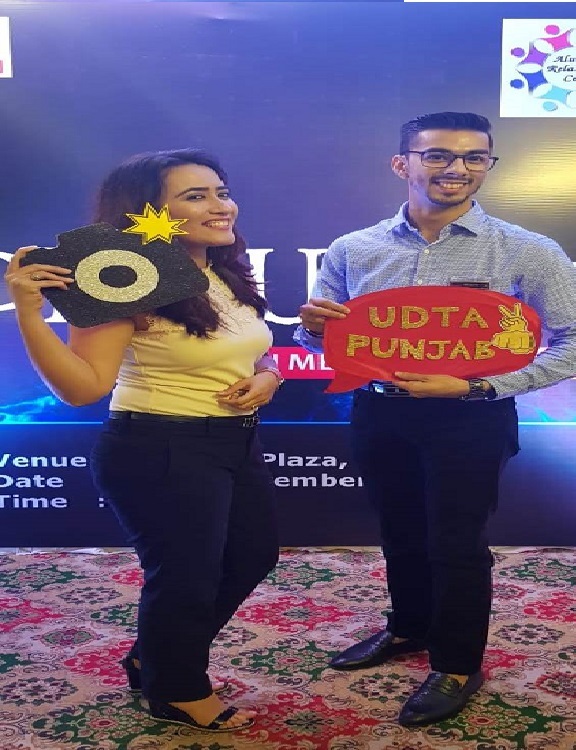 The IBS Chandigarh Alumni Meet, Confluence, was organized on 25th November 2017 at Hotel Ramada Plaza, Chandigarh. Total 26 alumni participated in the meet. All the alumni shared their IBS experiences and post IBS journey with everyone. 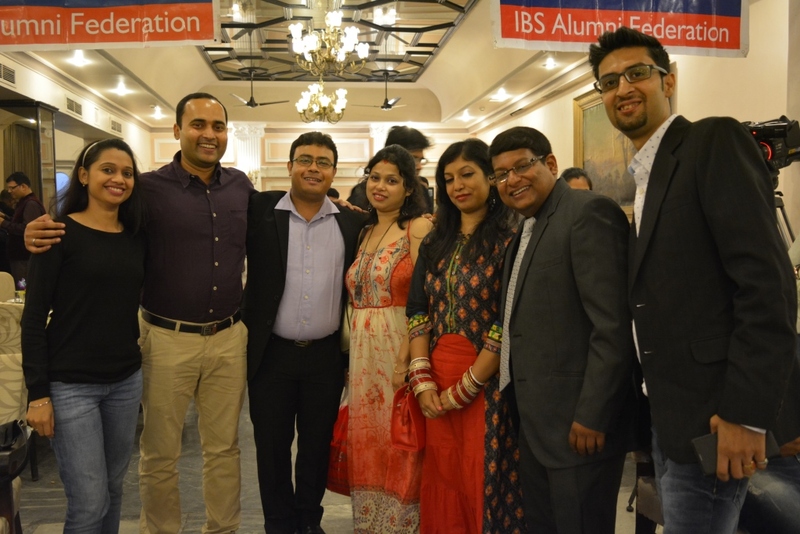 20 years of Happiness with Alumni was the theme for the Alumni Meet hosted by IBS-Kolkata on 2nd December 2017. The welcome address was given by Dr. Ajay Pathak , Director, IBS Kolkata. About 150+ alumni members participated in the event at Bengal Club. 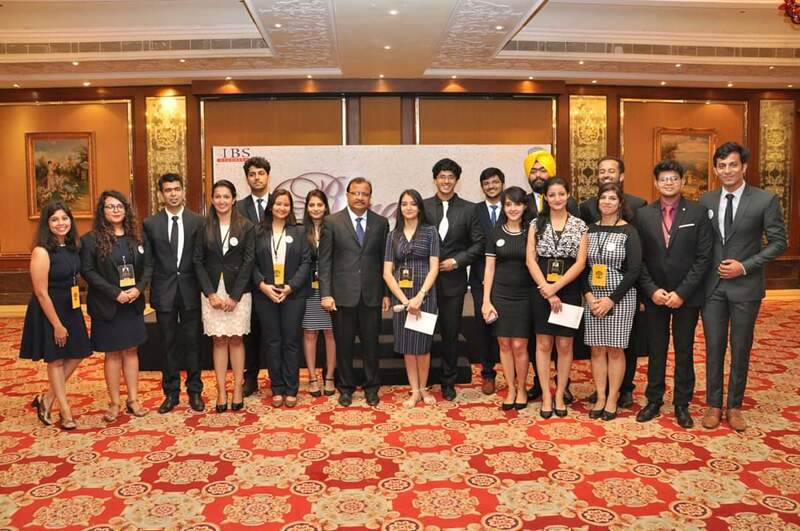 IBS Gurgaon organized an Alumni Meet at Lemon Tree Premier Leisure Valley 2 Hotel, Gurgaon on December 9, 2017. 294 alumni participated in the event. There was a good representation from all the batches starting from 1999. 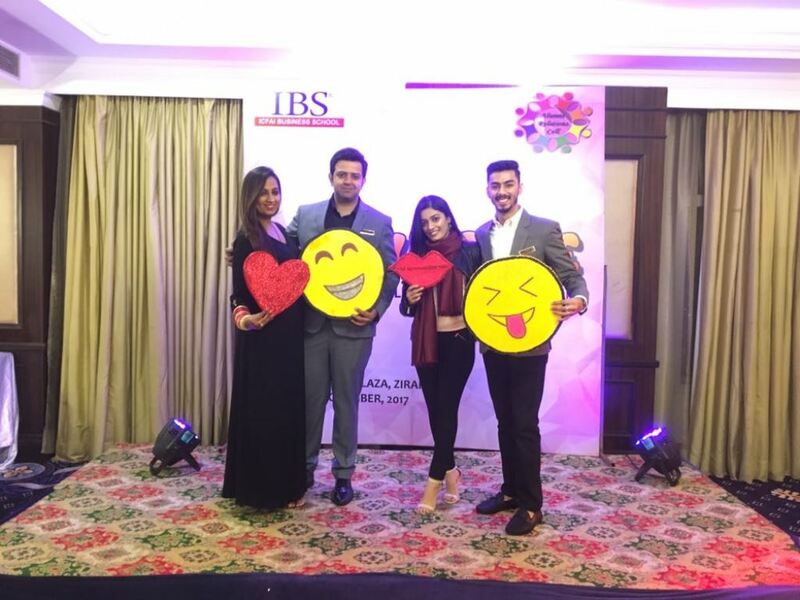 Celebrating the glorious 20 years of IBS Alumni Federation, Alumni Meet was organized at Hotel Radisson Jaipur City Centre.IBSAF Jaipur Chapter witnessed the overwhelming response and alumni retrace the cherishing memories of the golden days of IBS. Meet was attended by 61 Alumni . Dr. G. D Rathod welcomed all alumni, guests and took them on the journey of glorious 20 years of IBS. IBS Mumbai Organized successful Interactive knowledge sharing program titled “ Technology & Consumer” on 4th November 2017 at IBS Mumbai Campus. Total 64 Alumni attended the meet.Two eminent speakers from the Industry Mr. Satish Kulkarni, Vice President ,Asian Paints & Ms Ushamrita Choudhary, Senior Manager, Bandhan Bank Ltd shared their experiences relating to Technology and Consumer Behavior.Alumni enjoyed the sessions and found them very beneficial & insightful. Alumni meet at Hong Kong held on 1st November,2017 At Hotel Gaylord Indian Restaurant. Dr. P Venkateswarlu Dean IBS & Mr. Jatin tandon , GM Marketing addressed the alumni. The IBSAF Awards for Overall Excellence in SIP & Best Teacher 2017 Award Function was organized by IBS Jaipur. Dr. G. D Rathod, Registrar (Officiating) & Associate Dean IBS Jaipur welcomed the dignitaries . He congratulated the winners and appreciated the effort made by faculty & SIP Winners at IBS Jaipur for their contributions towards making IBS an excellent institution. 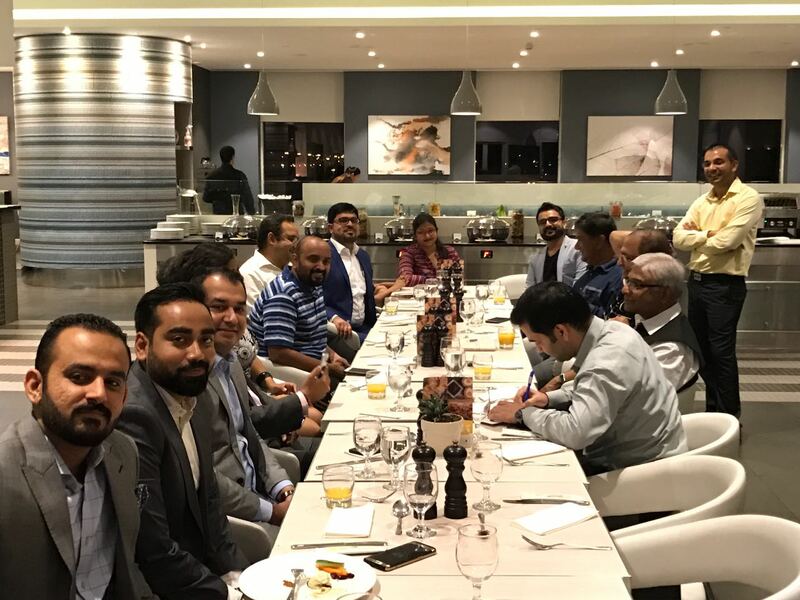 Alumni meet at Dubai held on 25th September,2017. Prof. G.S. Narsing Rao, Director, IBS Pune, Dr. Ajay Pathak, Director, IBS Kolkata & Dr. Vivek Ranga, Dean, IBS Ahmedabad addressed the alumni. Total 16 alumni members participated in the meet. IBS Dehradun organized an Alumni Meet at Hotel Four Points Sheraton, Dehradun on September 17, 2017. 19 alumni members were attended. The Alumni enjoyed the interactions with their faculty members and fellow alumni, played games and had fun in the meet. 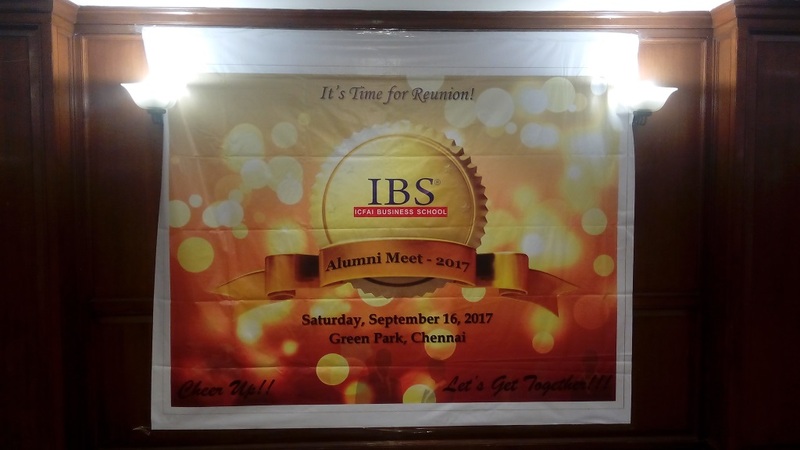 Alumni Reunion meet at Chennai held on 16th September, 2017 at Hotel Green Park. 38 alumni members, few along with their spouses attended the meet. 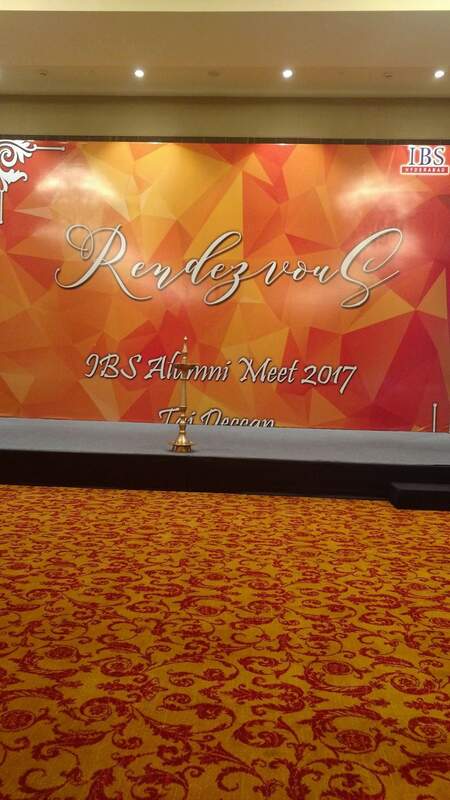 Rendezvous 2017 alumni meet conducted for the batches 1997-2010 on September 16th , 2017 at Hotel Taj Deccan, Hyderabad. 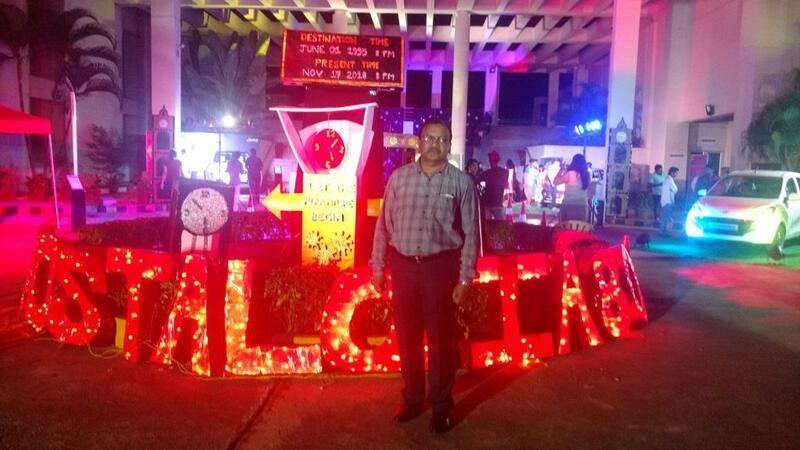 The colorful event was inaugurated with the lighting of Lamp by the Director, IBS Hyderabad and senior alumni of IBS. 95 alumni members were attended. IBS Bangalore organized Knowledge Sharing alumni meet on Sep 9th 2017. Prof G V Muralidhara, Campus Head IBS , Bangalore welcomed the alumni and faculty present. Mr. Subraya Hegde, former Joint Commissioner Commercial Taxes, Bangalore delivered a session on GST and its impact. Mr. Upendra Suddamalla, Associate Consultant at Embedded Innovation Labs, TCS, Bangalore spoke on Machine Learning, which is currently the most buzzing topic. Prof. Harish, Dy Campus Head and Dean, Academics presented the vote of thanks. IBS, Pune organized an alumni meet on 02/09/2107 at Hotel Sheraton Grand. Good number of alumni participated in the meet. An inter batch quiz competition was held. Quiz session was quite interactive where even faculty members participated along with alumni enthusiastically. Quiz ended with prize distribution where winners and runner-up teams were awarded trophies. The program ended with faculty interaction followed by dinner. IBS Pune organized IBSAF excellence award function on 12th September 2017. IBSAF Best Faculty Award for Institution Building as a way of recognizing outstanding performance & IBSAF Awards for Excellence in SIP were presented. Program ended with Director's concluding address. 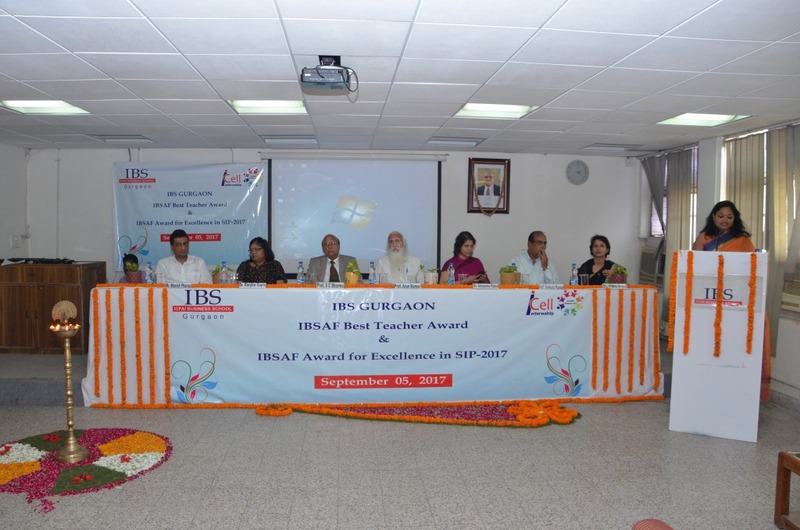 The IBSAF Best teacher and Excellence in SIP awards function was organized on September 5, 2017 at IBS-Gurgaon. 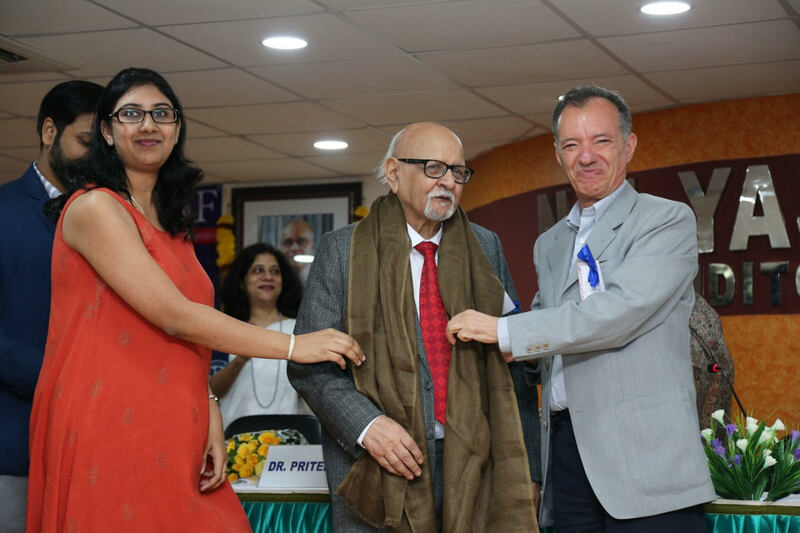 The occasion was graced by chief guest- Prof. Arun Kumar, Former Professor at Jawaharlal Nehru University. The event commenced with a welcome address by Prof. S.C. Sharma, Director, IBS-Gurgaon. 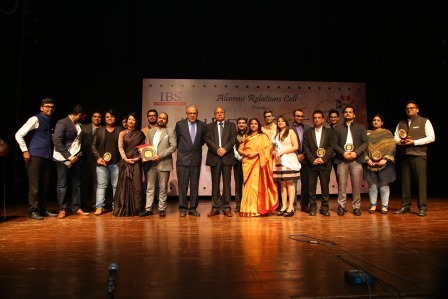 Alumni Relations Cell of IBS Hyderabad organized the IBSAF Awards 2017 on September 6, 2017. Dr. S Venkata Seshaiah, Director IBS Hyderabad addressed the gathering. 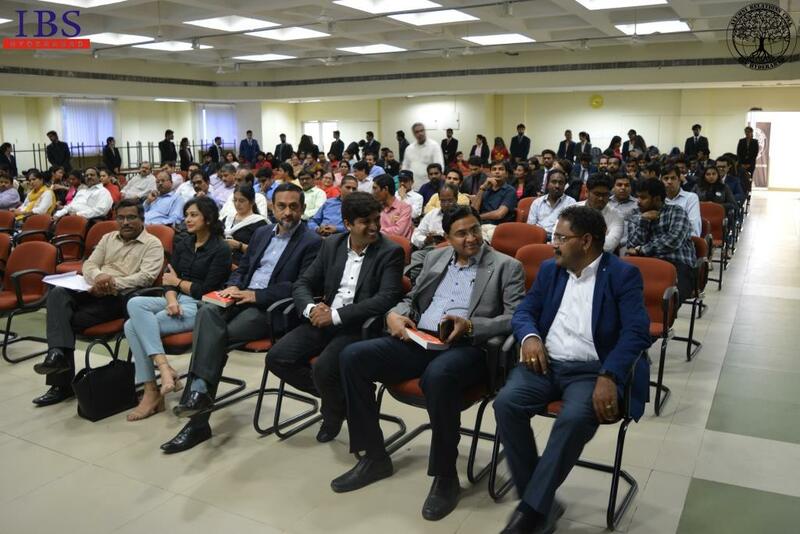 Alumni Guests for the event were Mr.Sandeep Mishra Class of- 2004, Mr. Abhinandan Pandey- Class of 2009, Mr. Gaurav Gupta-Class of 2004 and Mr. Rahul Jain – Class of 2008. 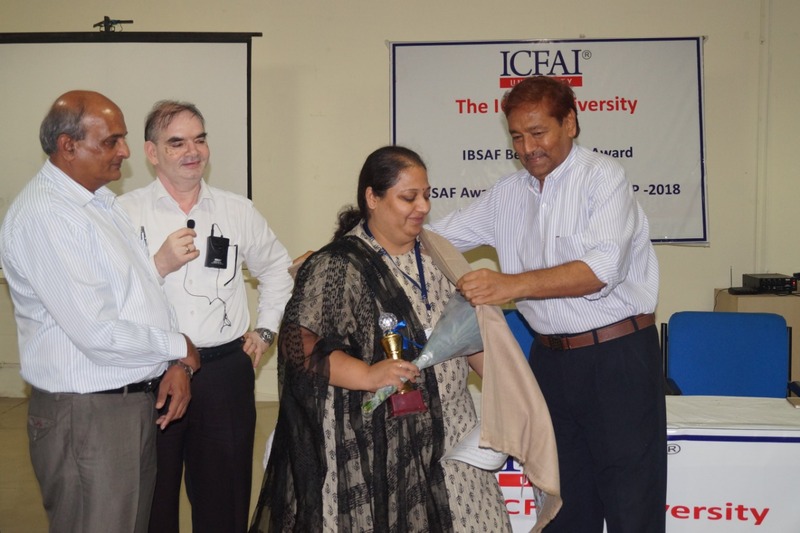 IBSAF Best Faculty Award for Overall Excellence and Award for Institution Building were presented to the selected faculty as a way of recognizing outstanding performance. 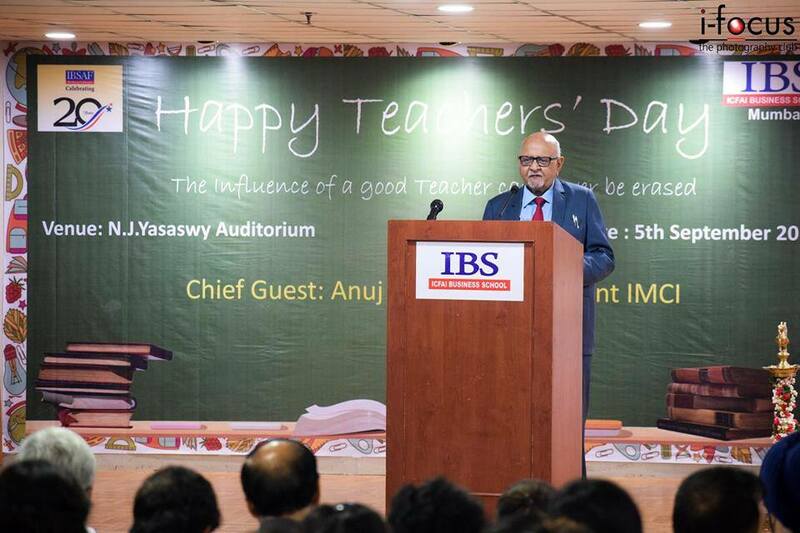 Like every year, IBS Mumbai celebrated Teachers Day by felicitating its esteemed Faculty Members with Chief Guest of the Teachers’ Day Program Mr. Anuj Bhargava, President , IMCI. Best Faculty Award for Overall Excellence and Award for Institution Building were presented by Campus Head to the Award winners as a way of recognizing outstanding performance. 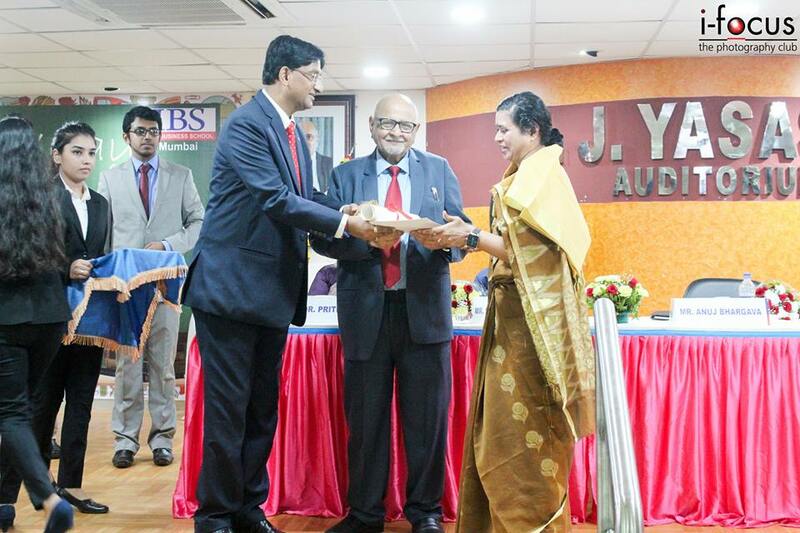 IBSAF Awards Function at IBS Bangalore is held on the Teacher’s Day. The event brings students, faculty members and Alumni together. The awards are presented to the winners by senior Alumni Mr. P. Karthikeyan of the class of 2007 and Ms. Shailja Awasthi of the class of 2008. 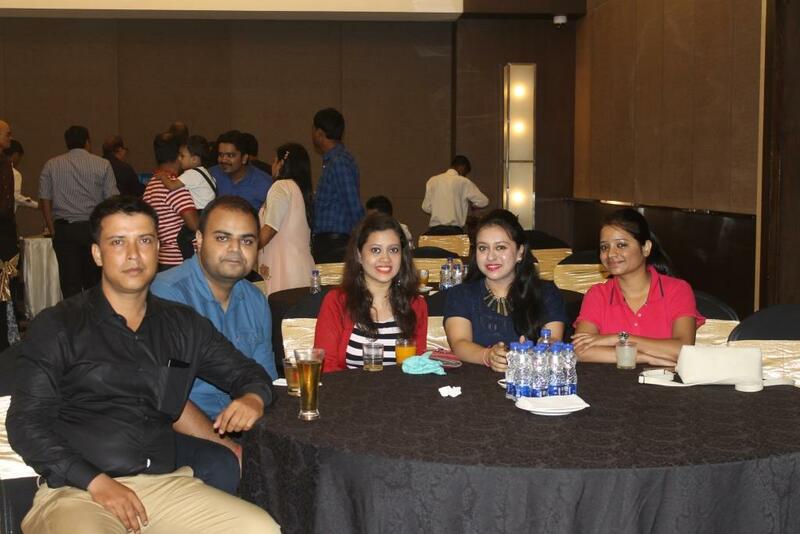 Alumni meet was held at Guwahati on 22nd July 2017 at Hotel Radisson Blu. Alumni members, few along with their spouses attended the meet. Dr. Ajay Pathak, Director, IBS Kolkata has addressed the gathering followed by sharing of experiences by Alumni. All the participants were delighted with the experience. 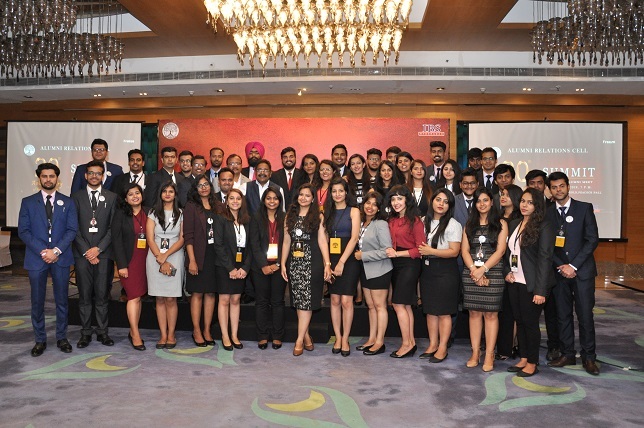 IBS- Gurgaon organized Alumni Meet 'ROOTS' on 4th March 2017 at The Leela Ambience Hotel, Gurgaon. 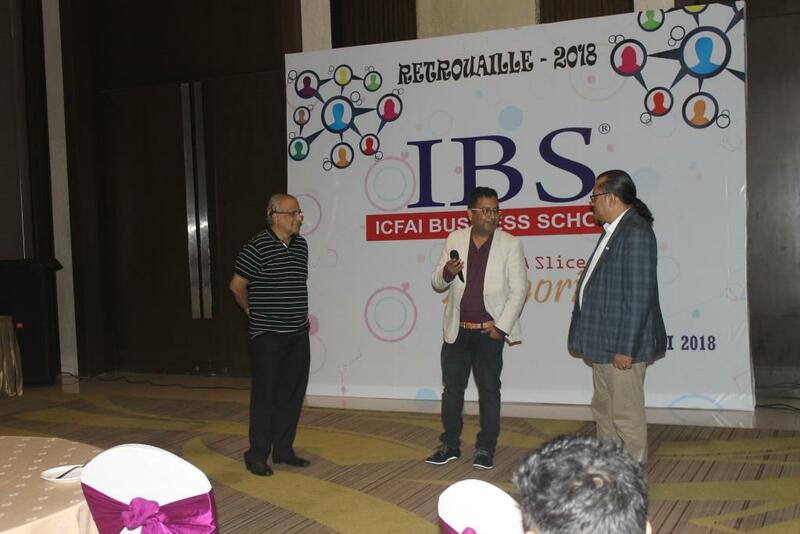 Prof. S.C Sharma, Director, IBS-Gurgaon shared details about pedagogy and activities at IBS. Alumni shared their happiness about their alma mater taking the initiative to reconnect with them. The second Alumni meet titled “FLAVORS” a social and fun event was organized on 18th February, 2017 at IBS Mumbai campus.200 alumni attended the event. The event began with traditional lamp lighting followed by the welcome address by Prof Y K Bhushan, Senior Advisor & Campus Head, IBS Mumbai. Prof Y K Bhushan complimented the alumni for making to the event and few who were from other IBS Campuses. 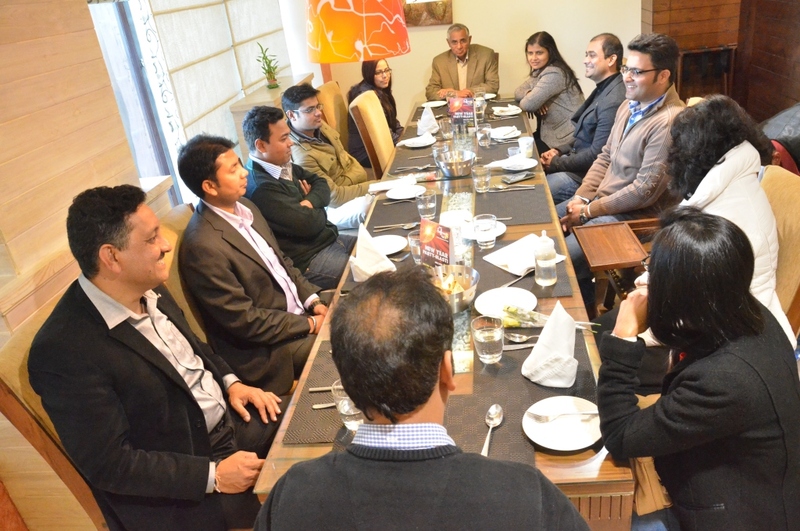 There was lot of interaction between the alumni and many met up with their batch mates after several years. All felt elated having come to the Campus and promised to return again to live up the memories. IBS Ahmedabad first batch Alumni Reunion Meet was held on December 23, 2016 at Hotel Renaissance, Mumbai. Dr. Vivek Ranga Addressed the Alumni. The Alumni enjoyed the event. 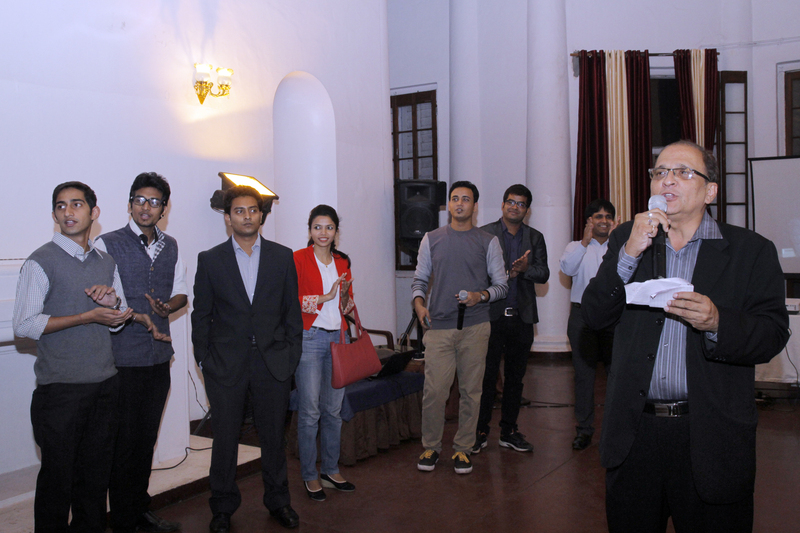 The Alumni Meet hosted by IBS-Kolkata on 4th December rocked! 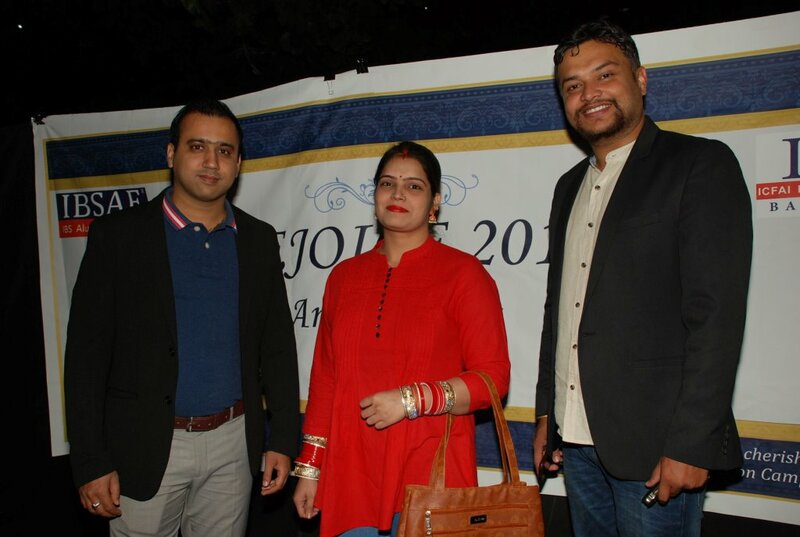 About 170 alumni had joined the festivity at Bengal Club. Dr. Ajay Pathak, Director, IBS Kolkata addressed the alumni. The students of 1st year and 2nd year had put up a song-dance program especially for this occasion. 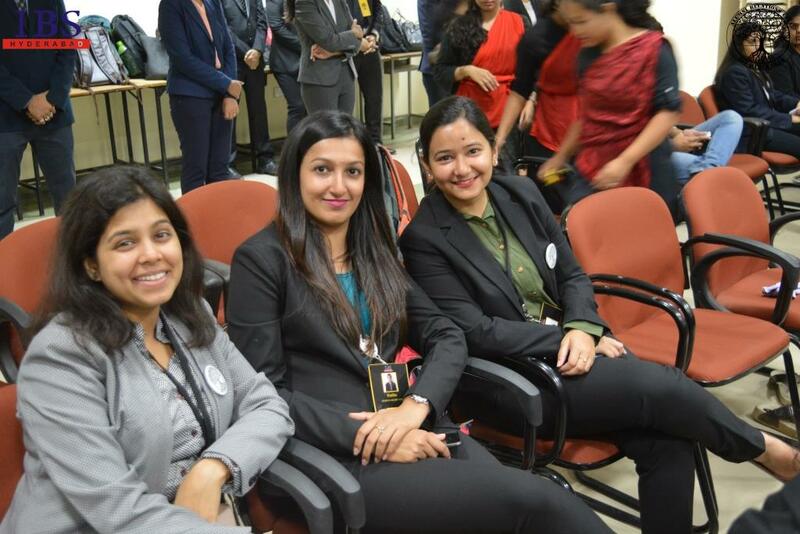 Alumni from different IBS campuses had also joined the event. The evening ended with a promise to remain connected always. IBS Bangalore Alumni meet “Rejoice” is an evening gathering at Jayamahal Palace held on 3rd December, 2016.Total 84 alumni participated in the meet. The alumni were addressed by Prof. S.C Sharma Director IBS Gurgaon. 241 Alumni attended the meet. Several contests were conducted for alumni followed by prize distribution ceremony. Also 12 alumni were recognized for their significant contribution in “Mentorship and Knowledge Sharing Sessions” during the academic year 2016 at IBS Gurgaon. All alumni enjoyed the evening. The program ended with the vote of thanks by Dr. Vibha Arora, IBSAF Alumni Coordinator, Gurgaon Chapter. 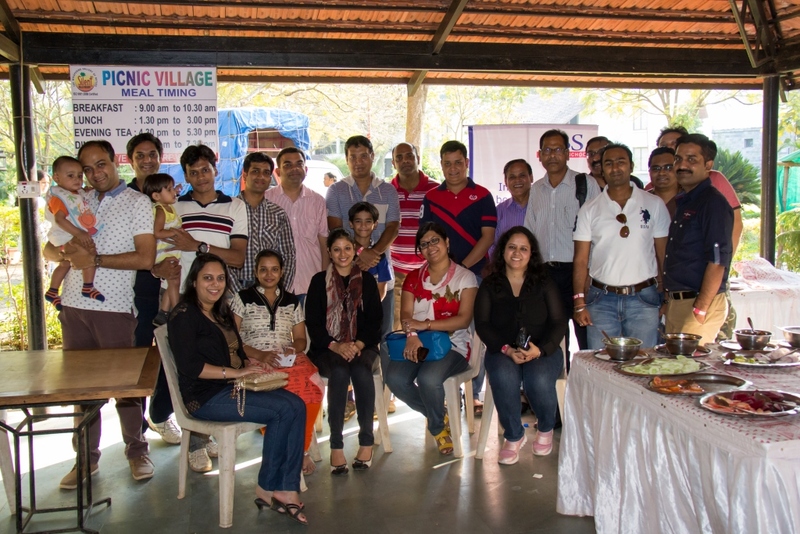 IBS Pune organized an alumni meet on 27th November 2016 at Girivan Picnics a place 60 km away from Pune. It was a day long program. Total 86 members participated in the meet. It was a fun filled program. Most of the alumni had joined along with their spouse and kids. People experienced peace of mind, fresh air and lots of fun. Participation in activities like crossing Burma Bridge, rain dance and adventures games were the highlight of the day. Alumni shared personal and professional experiences with the gathering. 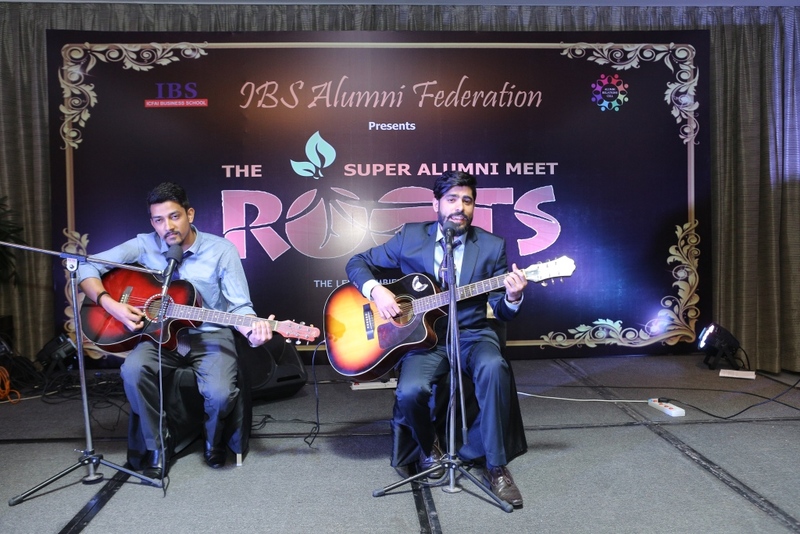 Alumni were vocal in their appreciation of IBS Pune’s efforts in the arrangements and venue. Program ended with photo session and amidst rounds of promises to meet more often. IBS Gurgaon organized Alumni meet of Digital marketing workshop on October 15, 2016. 14 alumni attended the workshop at the meet. Mr. Sahil Sachdeva, Director, Exponential Interactive and an alumnus of IBS 2007-09 was the resource trainer at the workshop. The Knowledge sharing /learning event took place at IBS Mumbai Campus on 22nd October 2016. The theme was "Changes in Business Models-Challenges for Management". Prof Y K Bhushan inaugurated the event and set the context of the program. He highlighted how the environment is changing and need to respond to the way different challenges businesses are facing. 60 alumni attended the event was very encouraging and heartening. The meet was highly praised by the participants and were very happy to be present for such a program. They expressed their interest to attend more of such events in future and they left truly learned and excited. 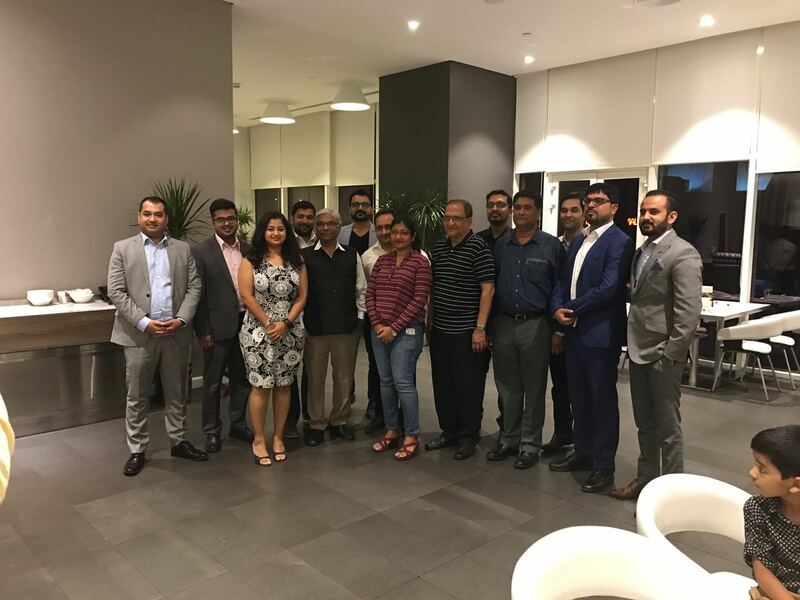 Alumni Meet at Dubai was held on 22nd October,2016 at Gallery Café, Hyatt Place ,Dubai. Dr. Pritee Saxena, Dean, IBS Mumbai, addressed the alumni. Alumni meet at Guwahati held on 15th October,2016 at Taj Vivanta, Guwahati.Total 21 alumni members along with their spouses were attended the meet. 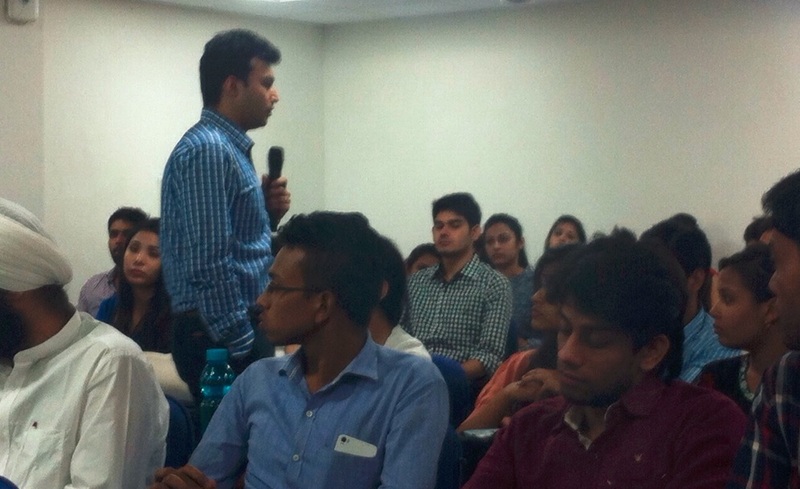 Dr Ajay Pathak, Director , IBS Kolkata , addressed the alumni. Alumni Meet at Chennai was held on 22nd October,2016 at Green Park, Chennai. Total 28 alumni members were attended the meet. 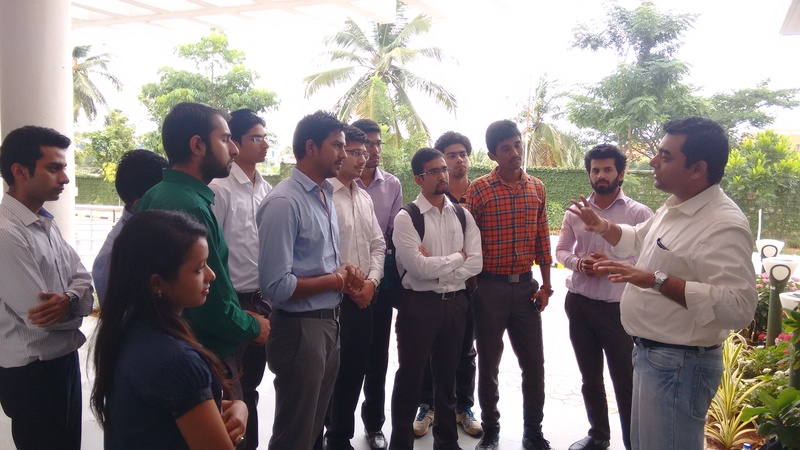 Dr. Venkata Seshaiah, Director IBS Hyderabad , addressed the alumni. 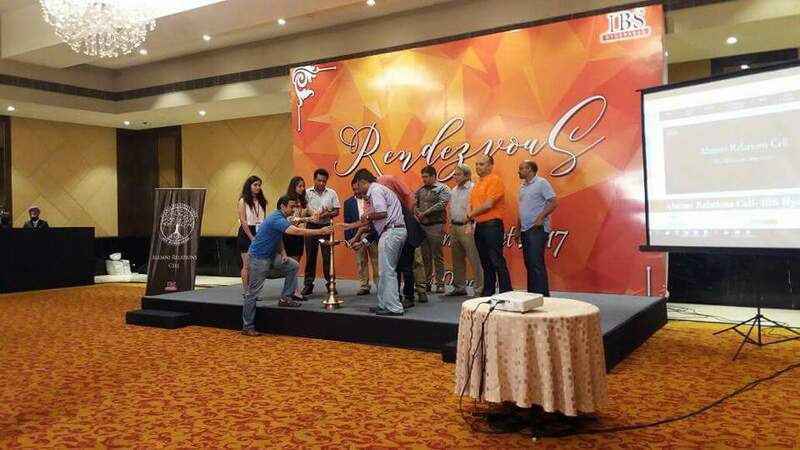 Rendezvous 2016 alumni meet was conducted on September 17, 2016 at Hotel Taj Krishna, Hyderabad. 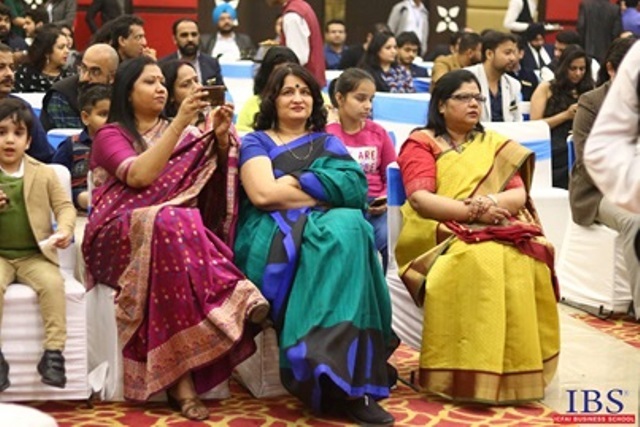 The event was promoted live to other alumni, who couldn’t attend, with live videos of the activities posted on Facebook, Instagram and snapchat. The response was tremendous as the alumni members enjoyed the event immensely. Several alumni from Mumbai, Hyderabad, Pune, Gurgaon and Jaipur enthusiastically attended the meet. Dr. G D Rathod and Dr Archana Rathore along with all faculty members of IBS Jaipur attended the meet. The meet also witnessed the presence of Prof S C Sharma, Director, Dr Renu Varma, Associate Dean both from IBS Gurgaon along with Dr Venkateswarlu and Mr Satyanarayana T V V G from IBSAF,HO. 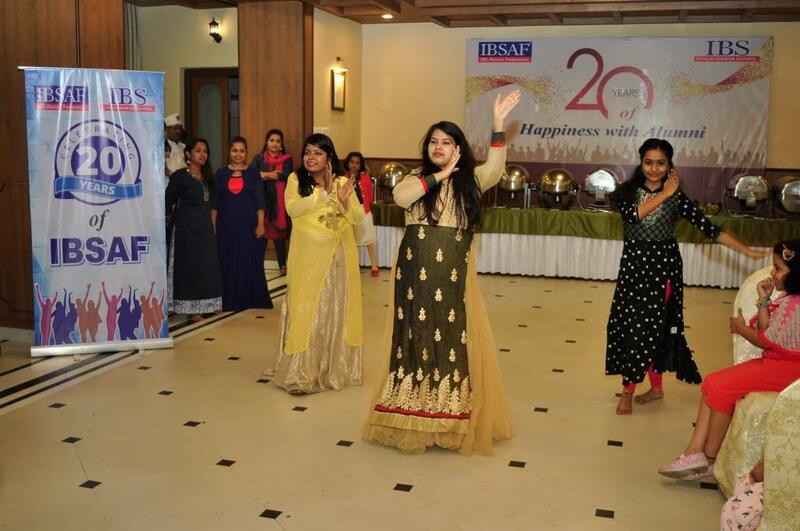 Evening full of enjoyment and celebration concluded with dance and dinner. 49 Alumni attended the Alumni Meet at Chandigarh. Meet was addressed by Dr S Venkata Seshaiah, Director IBS Hyderabad. Alumni shared their experiences at IBS and appreciated the role of faculty in changing their personality. An alumni meet on Knowledge Enhancement 2016 was held at IBS Bangalore campus, on Saturday 6th Aug 2016. Mr Nagaraj Subrahmanya, CAO, Redwood Analytics conducted a Captivating session on “Role of Analytics in managerial decision making”. It was an interactive session and was very well received by the Alumni. The Alumni were very pleased that they attended the session. 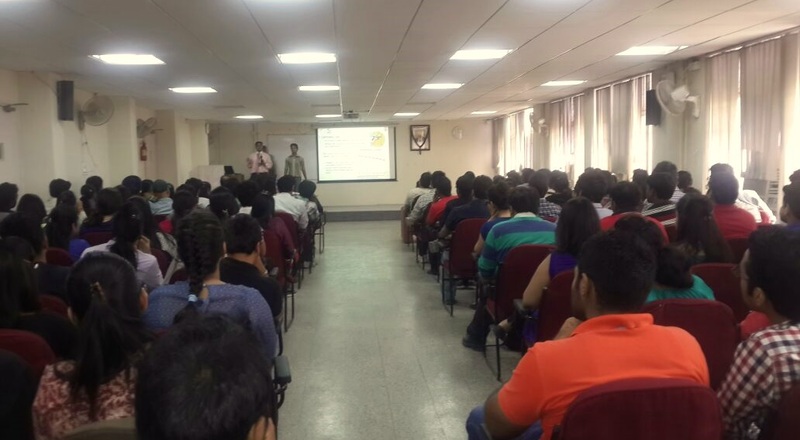 Splice 2015, an alumni meet, was held at IBS Mumbai campus, on Friday the 18th Dec2015. 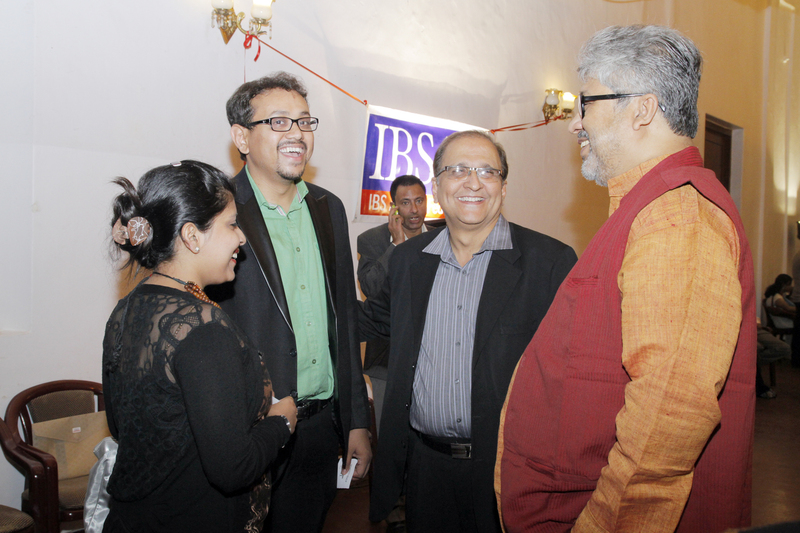 It was an informal gathering of around 250 alumni of all IBS campuses. Many alumni joined the gathering with families. Prof Y K Bhushan, the campus head, welcomed everyone. 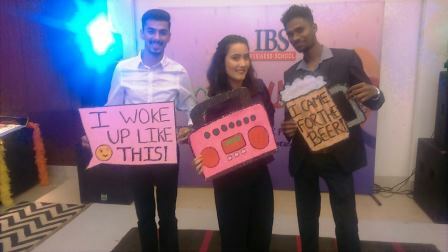 IBS Mumbai students presented an entertainment programme. 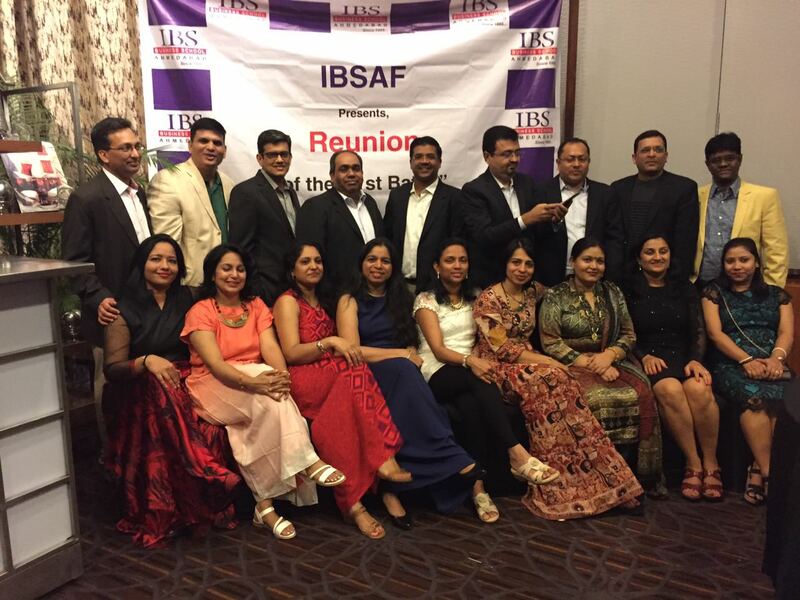 The distinguished alumni from the first batch of IBS Mumbai, Class of 1997, were felicitated. Mr. Vishnu, budding bollywood producer and IBS Mumbai alumnus, screened trailer of his forthcoming Hindi movie. The director of the movie also shared the theme of the movie. Prof Dr Ajit Patil, coordinator of IBSAF Mumbai chapter proposed the vote of thanks. The programme concluded with a special dinner and informal interaction among those present. “Every alumnus is a source of pride for the institution”. We had a presence of aluminums form almost all the batches but the maximum turnout were form batch 2008, 2009 and the last two batched 2014 and 2015. Majority of the guest were form Bangalore but to our surprise we have guest form Washington D.C. (alumni batch of 2000) and two form Chennai. We had a presence of aluminums form almost all the batches but the maximum turnout were form batch 2008, 2009 and the last two batched 2014 and 2015. There were prizes for best attire men and women .Two alumni-couple where recognized in the meet. Last but not the least Arun Mozi our alumni guest were given a bouquet for his selfless effort in Chennai flood. 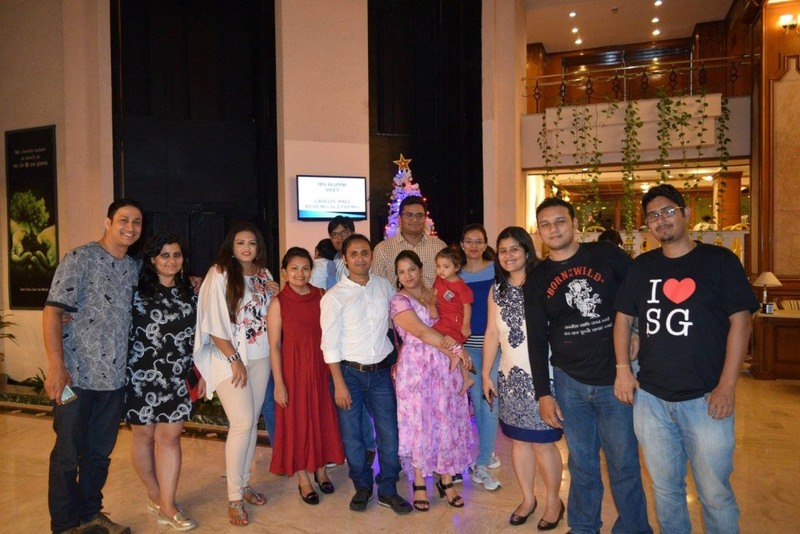 IBS Gurgaon hosted its Alumni Meet on Saturday, December 5th 2015 at Epicenter Gurgaon. The event witnessed a gathering of over 250 attendees. The evening started with the IBSAF coordinator Prof. Prapti Paul updating the audience on the alumni based initiatives taken at IBS-G in 2015 and what’s in store in early 2016. She praised their contribution towards the growth of the institute’s Alma Mater and emphasized the need for further strengthening the linkage between the Alumni and the current students. 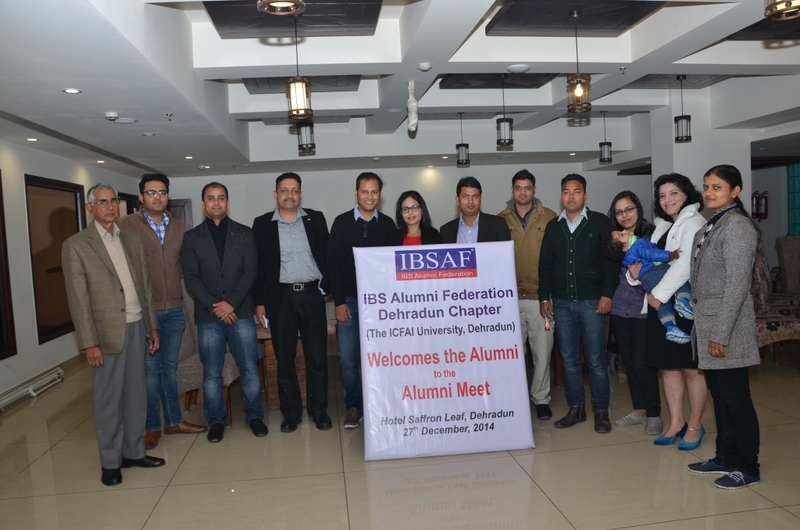 The alumni appreciated the efforts of IBSAF towards institution building and student development. The meet successfully came to an end after the alumni relived their college memories and bid farewell to each other only with a promise to meet again soon. It's a matter of pleasure to share with you that Alumni Meet at Chandigarh was conducted successfully on 31.Oct.15. 25 Alumni attended the event. Alumni spoke about their experience at IBS, life afterwards & how education at IBS had helped them grow in their careers. Everyone was elated to meet their batch mates, seniors & juniors. They exchanged their phone numbers with each other, dined and enjoyed on the DJ music. 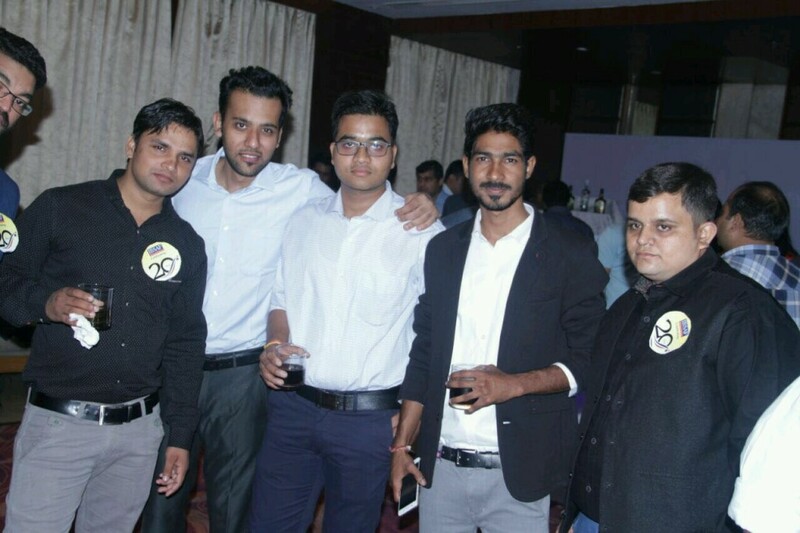 IBS Jaipur organized the alumni meet at Hotel Fortune Select Metropolitan, Jaipur on 1st Nov 2015. 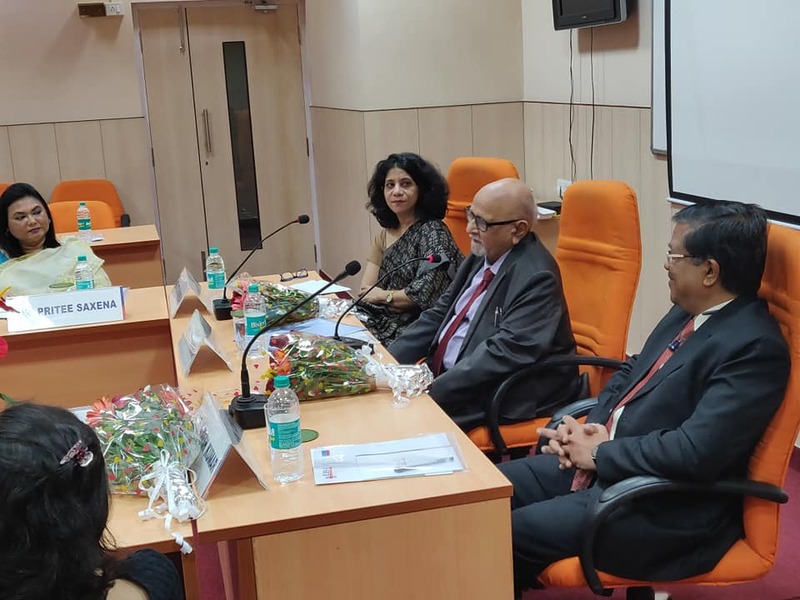 The evening began with the welcome address by Dr. G.D Rathod, Associate Dean, IBS Jaipur Dr. P Venkateswarlu from IBSAF Hyderabad and Dr. P B L Chaurasia, President, The ICFAI University Jaipur. 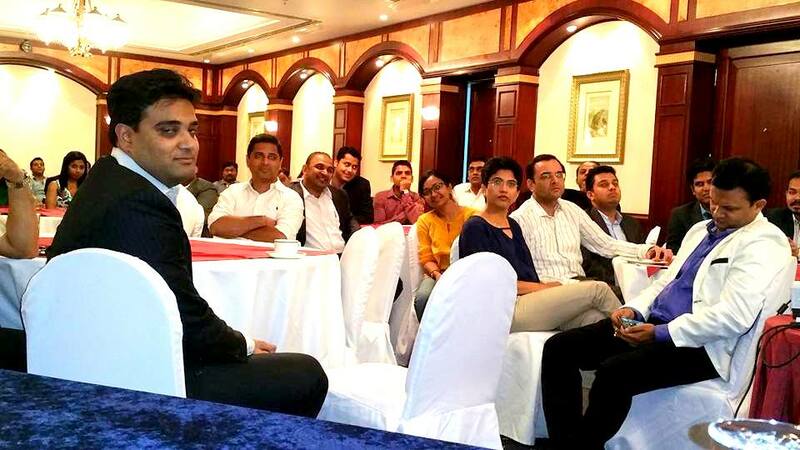 Meet was attended by 59 IBS Alumni from Jaipur, Ahmedabad, Gurgaon, Bangalore, Mumbai, Hyderabad, and Kolkata. 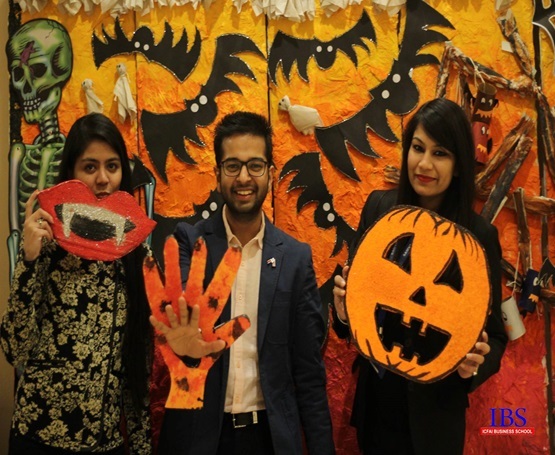 All faculties of IBS Jaipur, placement and marketing managers were present at the occasion. Alumni appreciated the effort of IBSAF in institutional building activities. 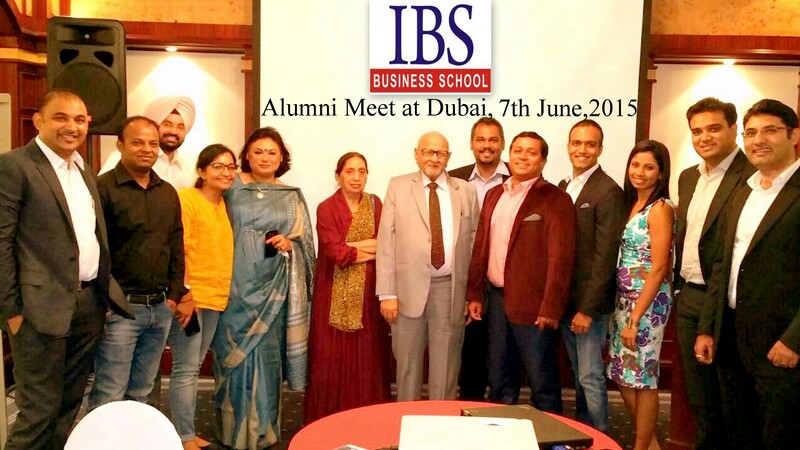 Presence of IBS alumni across the world is the most motivating factor, wherever you go you find one IBS alumnus. “Like branches of tree we have grown in different direction but our roots are one”. 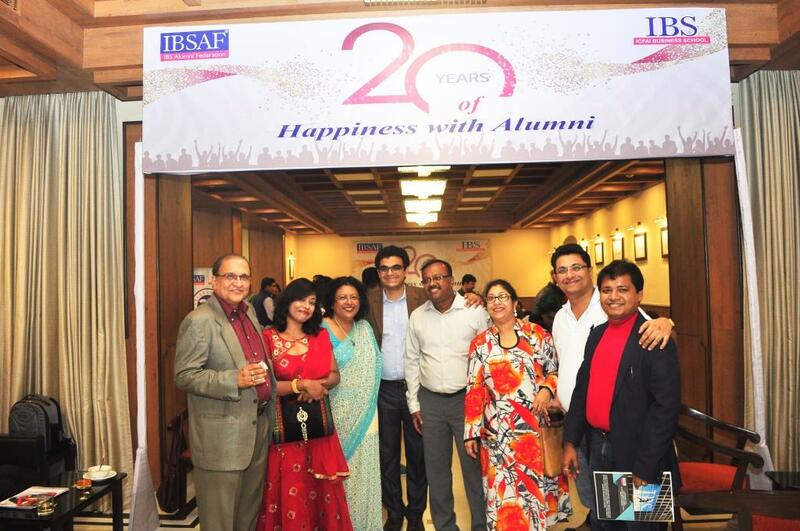 20 years of Togetherness & Happiness was the theme for the Alumni Meet hosted by IBS-Kolkata on 14th November. Since it was Children’s Day we had asked alumni members to bring their kids too! 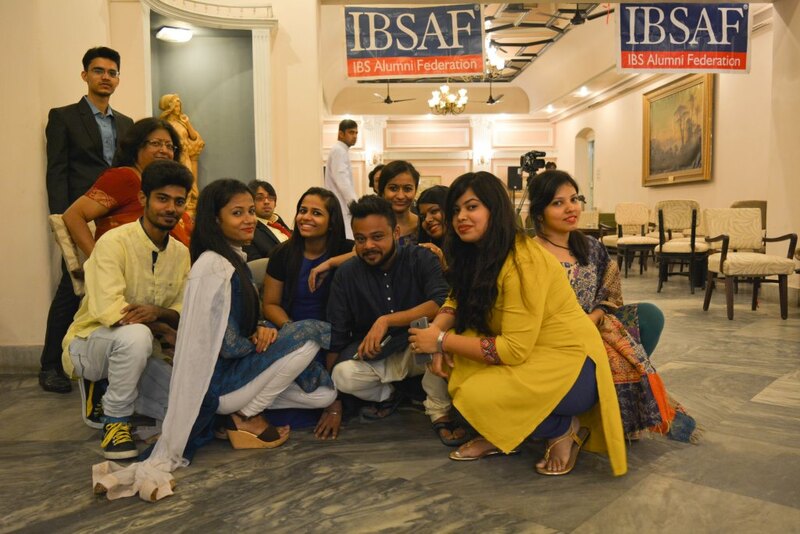 About 170+ alumni members & family, faculty and staff of IBS-K participated at the event at Tollygunge Club. 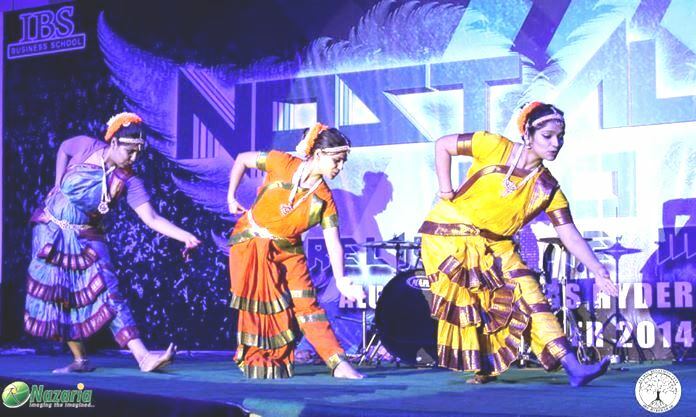 The current batches of students had put up a song-dance program especially for this. Alumni from different IBS centers had come and we are delighted that the chain is becoming longer. The welcome address was given by Director, Dr. Ajay Pathak. 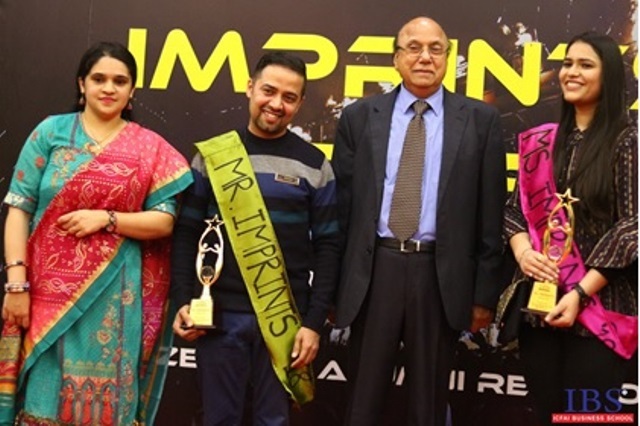 Students anchored the variety program interspersed with contests like ‘Best Dressed Male’ ,’Best Dressed Female’, ’Best Couple’ amidst loud clapping and giving away of prizes. “Remain Connected” was our farewell refrain. Every alumnus is a source of pride for the institution …. 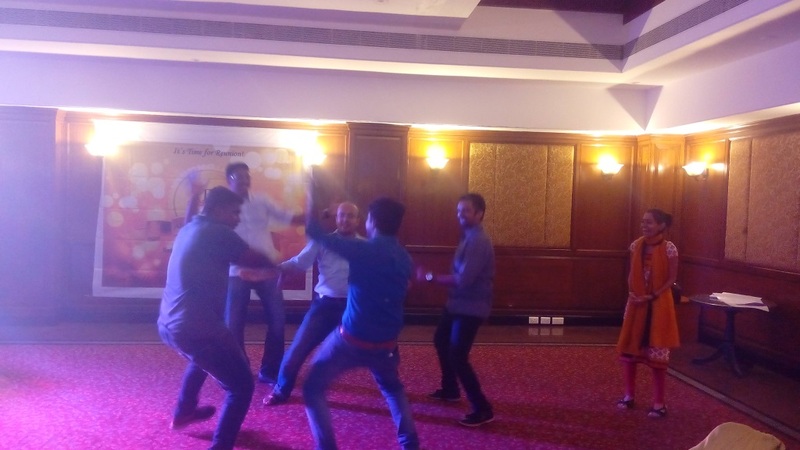 The event was based on the theme “Surviving the Leap from Employee to Entrepreneur”. 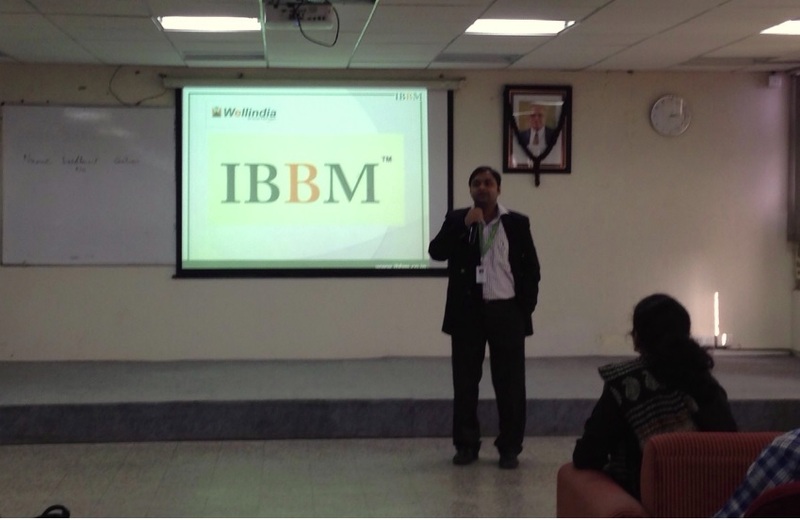 IBS Bangalore had the opportunity to have the audience addressed by its 3 alumni who are now successful entrepreneurs. The very look at the IBS logo Coffee MUG , given at the registration desk was unique followed with a AV of our memories . Mr Naresh Sharma welcomed us. Refreshing was when a guitar play was done by 2015 & 2016 batches. Followed with a DJ, dance and dinner we were happy to see each other and new IBS Building. Interacting with each other and watching the AV was fun. "An evening with memories refreshed" .... !!!! 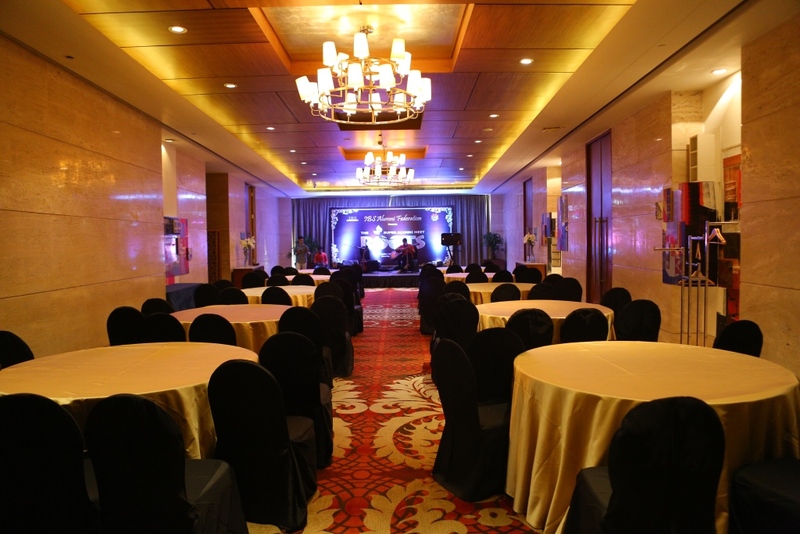 A successful event has ambiance, venue, participation, hospitality and was felt in every sense at Bangalore. An evening with valuable inputs from Campus head and Well executed by Placement team and Philip’s follow up did make it memorable. It was even more impressive to know the alumni were from 2010, 2012, 2013 and 2014 batches interacted among and had motivating time in the presence of the Dean. An event with fun filled games and sumptuous lunch. What made it special was the count...we expected 200, while we were 201 .... !!!! A general notion carried across is an event is always in large numbers. Well we had witnessed Alumni meet with twelve who were "interesting, ethustaic and interactive”. An event spoken, heard and messaged for over a month among the Alumni’s in Jaipur came true as SAMAGAM. Having more than 50 members, the day took off with welcome address by eminent academician and administrators Dr.S.S.Jain, Dr. G.P Srivastava, Mr. S.K Mathur, Dr P.Venkatswarulu, Dr. G.D Rathod who mentioned, “Alumni are the pillar, strength and the brand ambassadors”. Couple of team building games followed with various cultural programs was definitely an event to remember. Sharing their experiences and the enthusiasm of students was overwhelming .... !!!! 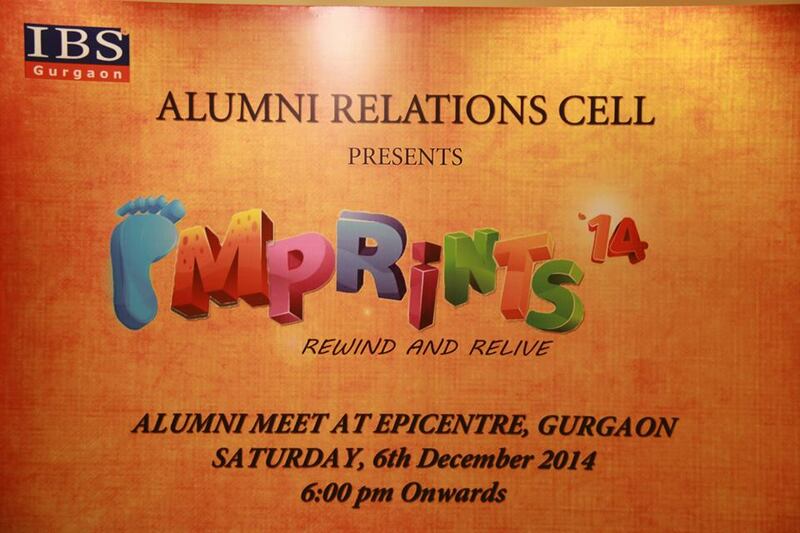 We were always under the impression Alumni meet is just a gathering, well ours was surely an adventurous one. It was more of an excursion, to meet old friends and their families, lots of fun filled sport activity. It only reminded us of our good old college days, campus rock climbing, cycling and paddle boat, the urge in us was who could put their best Foot Forward. 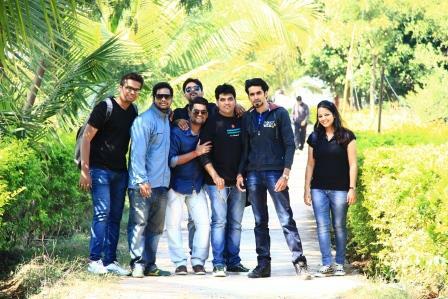 A fun filled outing left us on one note “we shall meet again “ .... !!!! If only reunion is meant to meet old friends, this one was new, expressive and happy. "Sharing their journey of success made us all very proud" .... !!!! 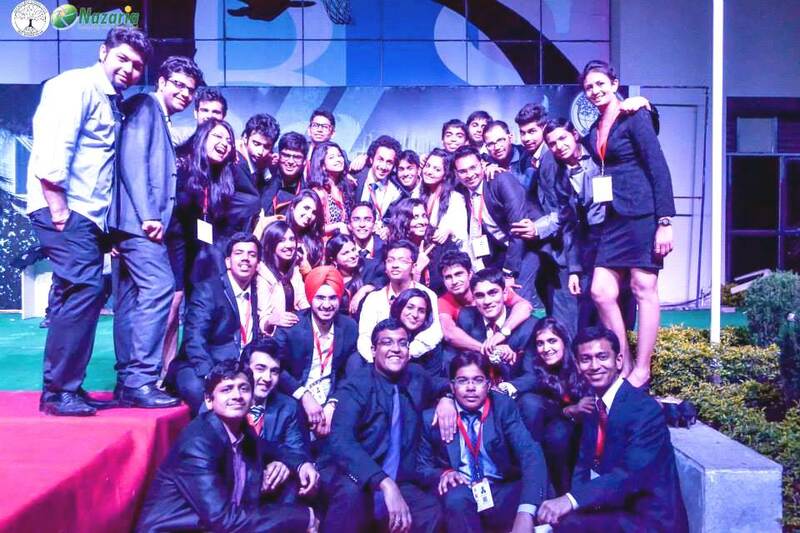 If festivals mean celebrate, an Alumni Meet is more than a festival. A moment of joy, togetherness and smile. Well we had it all with over 180 Alumni meeting each other, faculty and staff members. Warm welcome with dance programs performed by 1st and 2nd year students ,Mr. T.V.V. G. Satyanarayana and Mr. Vijaya Kumar who mingled freely with the guests, deciding the " Best Dressed Male and Female " loud cheering and clapping with prize distribution and variety of fun filled programs. “The evening ended with a promise to remain connected always ” .... !!!! “The good old IBS Days” .... !!!! The day began with a warm traditional style Welcome, Mentorship program, fun filled events and cricket match. As time passed we were witnessed to meet, hear from various Alumni’s, reminisce their past ,their stories followed with motivational speeches, a cultural event having every Alumni’s feet to hip hop and dance at western contemporary dance. Memorable fashion show, interactions on journey so far. Towards the end, an association which had all cannot be called an event ...it’s just “Nostalgia “.... till we meet again next year. 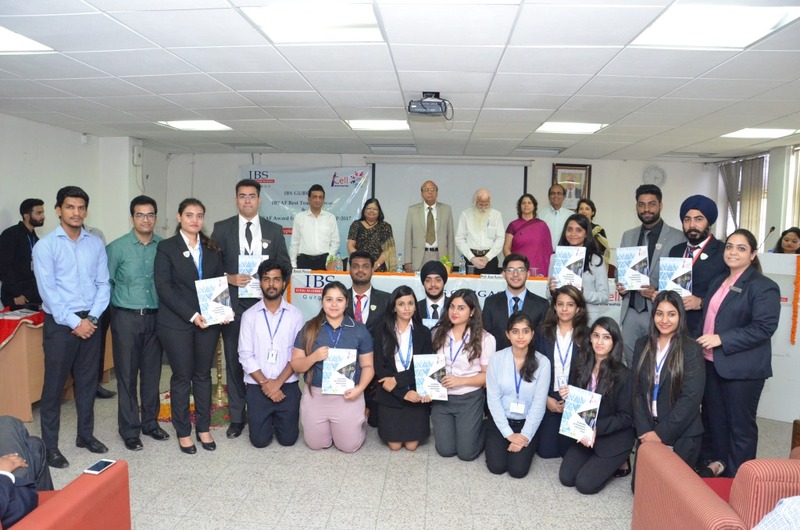 A One-Day Workshop on Demystifying Indian Stock Market was organized on 11th of March 2018 at IBS-Gurgaon campus. The resource persons Mr. Sunny Ralli, Founder, Stock Gurukul & Millionare Bull Research an alumnus of IBS – Gurgaon, 2008 Batch and Mr. Sushant Kumar Co-founder, Finpace Technologies Pvt. 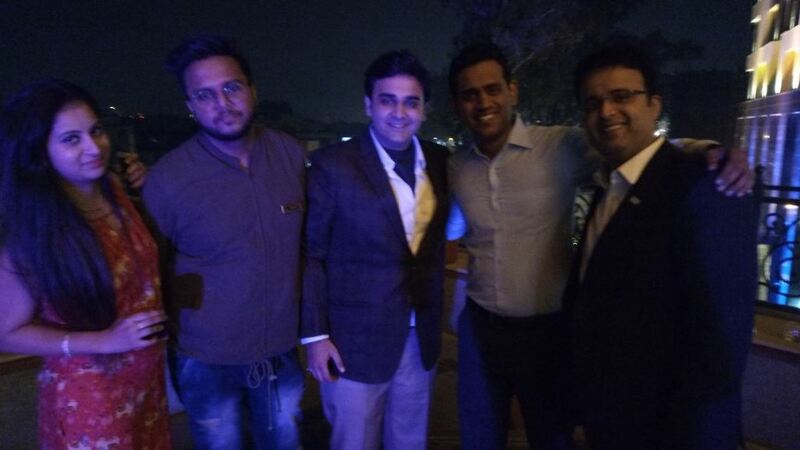 Ltd an alumnus of IBS-Hyderabad, 2002 Batch present in propinquity of Delhi NCR showed their presence at IBS Gurgaon campus, to be a part of this intellectual session. The Event ended with the certificate distribution ceremony to the alumni gathered for this session of much learning and attains some fruitful knowledge about the stock market. A vote of thanks was given by Dr. Devika Vashisht, IBSAF Coordinator, IBS-Gurgaon. Meditation Workshop was conducted for the IBS Bangalore for students, faculties & staffs on 23rd Dec 2015.The workshop was conducted by Natesh Kare Alumni batch of 2003 IBS Hyderabad and he works for Accenture Bangalore as the General Manager Operations .Mr. Natesh is also an active member for Heartfulness link: http://en.heartfulness.org/. Meditation is an extreme form of concentration. It allows your mind to focus on one thing. Strengthen that connection and cultivate an inner knowing that wisely directs and guides our lives. Grow to face the challenges of life with courage and acceptance. Live by the heart, and become what we’re meant to be. 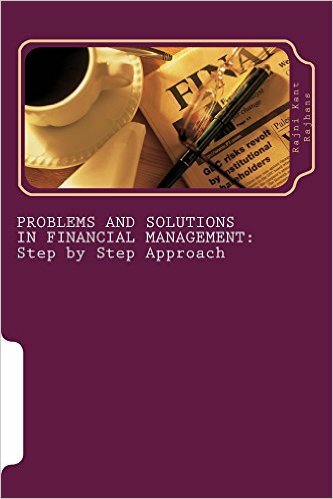 Rajni Kant Rajhans, IBS Hyderabad, Class of 2011, has written a book on “Problems and Solutions in Financial Management: Step by Step Approach”. The book is available for sale on Amazon and Kindle. Please, find the link of the book. 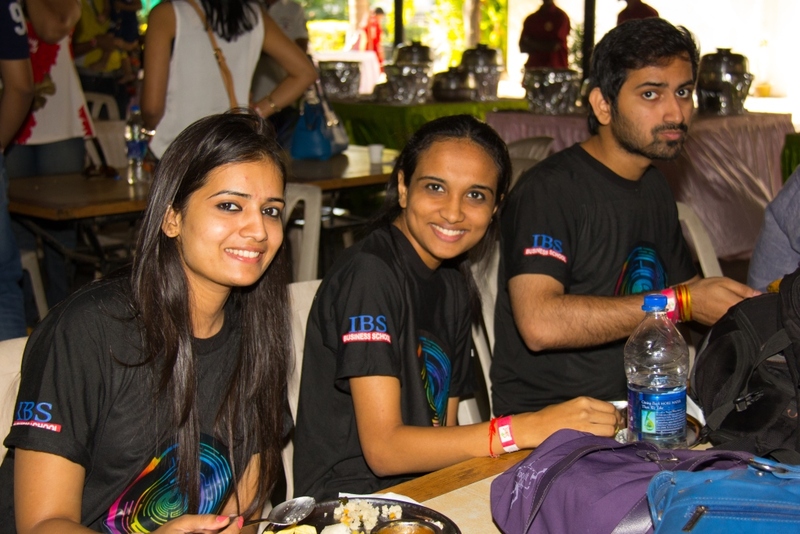 IBS Bangalore organized workshop on International placement with special focus on “BRICS Nations”. Manas Patra, Alumnus IBS Bangalore from East Africa, shared his experience on working in India, China, Brazil and South Africa. He addressed areas like import & export on executive leadership and negotiation skills in international Markets. 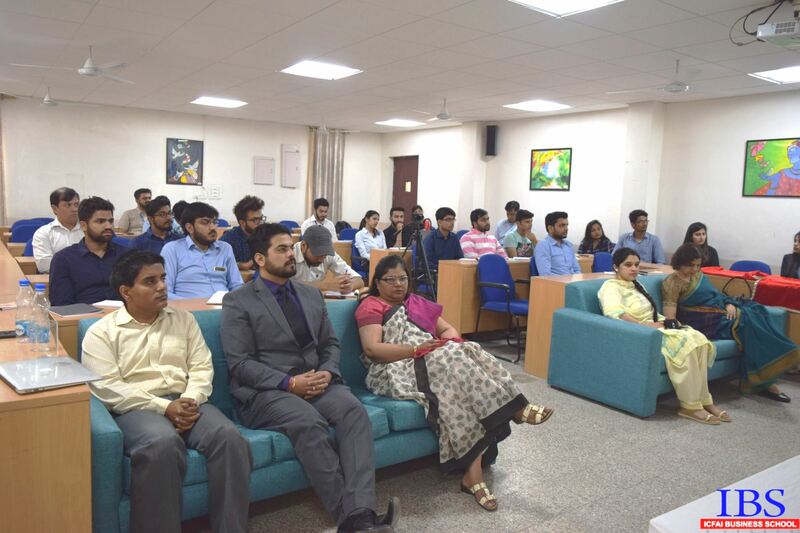 IBS Gurgaon organized “Orientation sessions" conducted by Alumni Mr.Abhishek Singh, Manager Bank of America-IBS-2008 and Mr. Vaibhav Chandra, Group Head Ameriprise-IBS-2009. The session is aimed to help new students know the strengths of the institute which can guide them shape their successful corporate career, which the students found very informative. 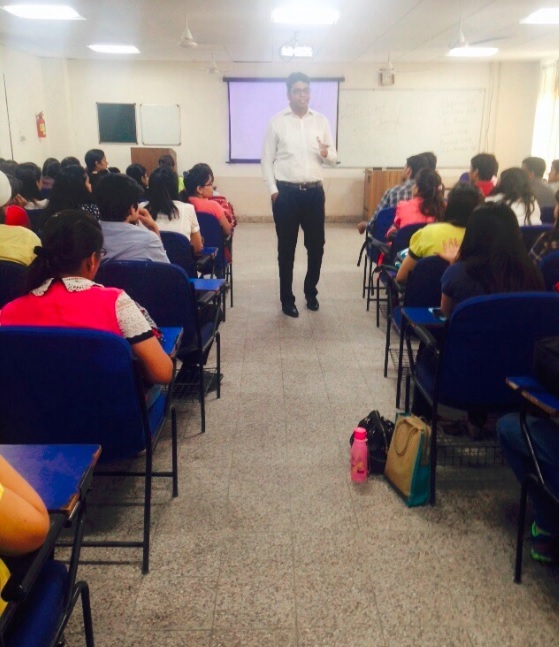 IBS Gurgaon conducted a seminar on How to make career in Stock Market as a Research Analyst. The Assistant Vice President, Marketing Head and Equity Research Head of the company Wellindia Securities conducted the seminar in the campus auditorium. As part of the session the experts spoke on ,How the Research is done, Importance & Types of Research, Derivative & Technical Research, Several Techniques & strategies used in various companies. Mr. Lalit Singhal, Alumnus IBS Gurgaon, currently the Equity Research Head at Wellindia Securities was instrumental in arranging the seminar for the development of the students. The session was very useful for the students as they are soon approaching their Summer Internship. IBS Gurgaon had invited The National Stock Exchange of INDIA (NSE) to spread awareness on Information of Securities Market. NSE representatives had touch based on various Security and Trade issue which also covered the Basics of Financial Planning, Investor’s Rights and Obligation, Information on Exchange Traded Products and also Do's and Don'ts of Stock Market. The entire session was found very informative and did benefit the participants. Sharing a success story of 2 of our alumin from IBS Pune, Bharat Kulkarni (Batch 2002-04) and Samarth Singh (Batch 2004-06). 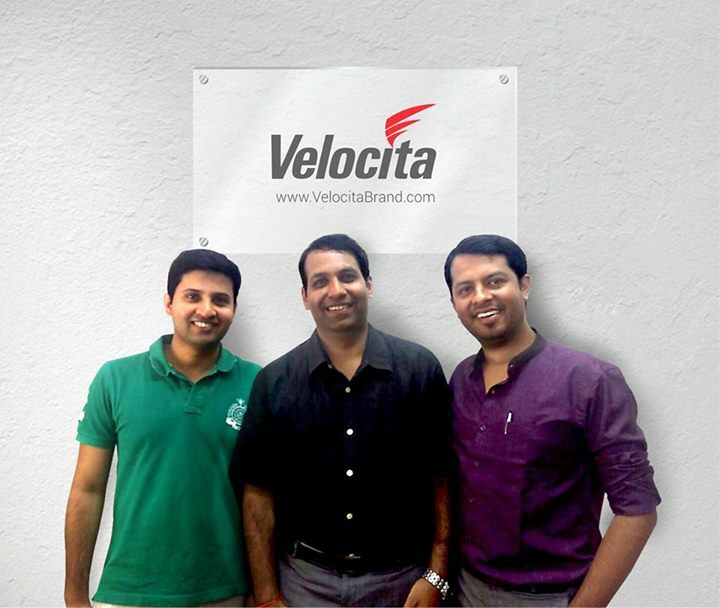 They started their own venture ‘Velocita Brand Consultants’ in 2008. Velocita is a creative design agency, specializing in areas of designing, like brand identity, websites & portals, marketing collaterals and UI/ UX design. In just a short snap of 6 years, they’ve managed to get some of the biggest global brands onto their portfolio. See their website at VelocitaBrand.com . The entire IBS family is proud of them and wishes them a very successful future. IBS Mumbai celebrated Teachers’ day on September 5, by recognizing and awarding its best teachers and staff members. 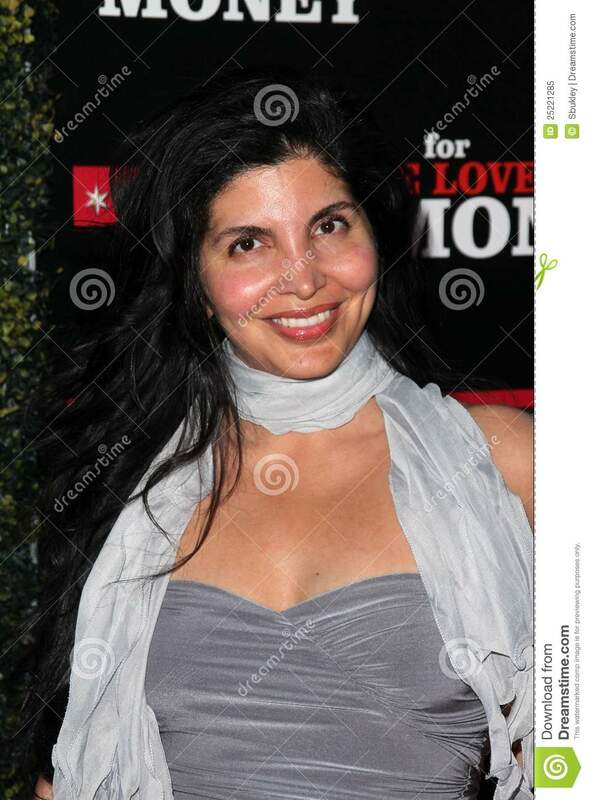 Dr. Anjali Raina, Executive Director Harvard Business School India Research Centre was the Chief Guest of the event. 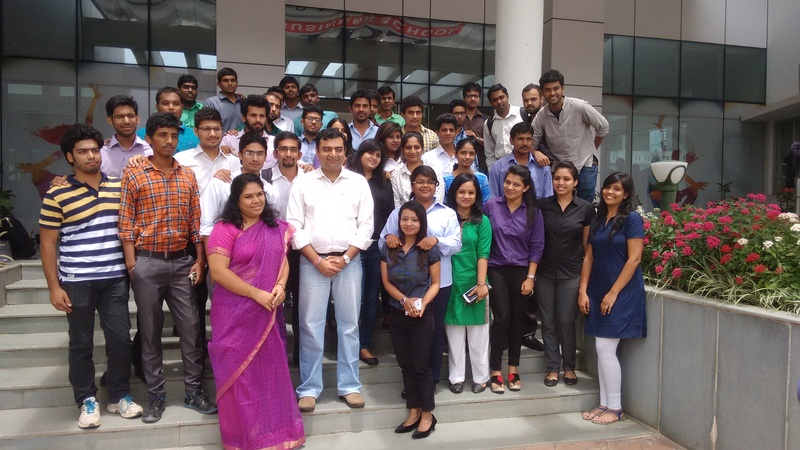 Three IBS Mumbai alumni, Mr.Yogesh Bhawnani, Management Consultant, Mr.Remesh Kumar, Senior Sales Manager – Oracle India Pvt. Ltd., and Mr. Nishith Bhandhari, Chief Manager – FX Resource Raising – ICICI Bank graced the occasion to honour the teaching fraternity. 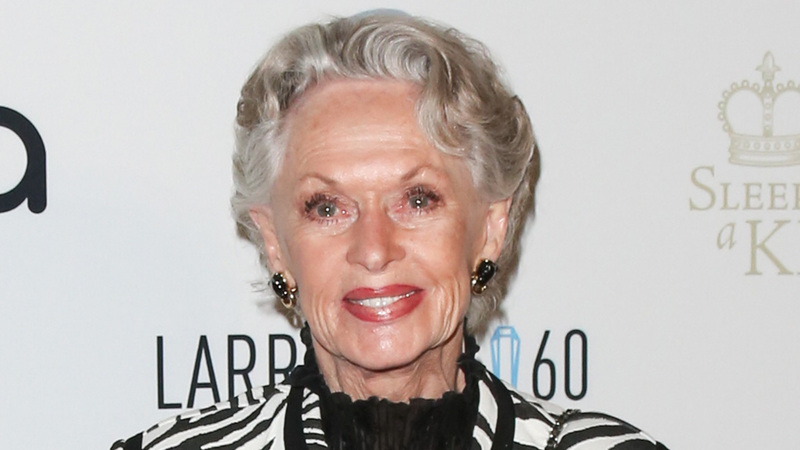 The event began by honoring all the previous award winners. Prof. Y K Bhushan, Chief Guest and Alumni gave away the citations, certificates and cash prizes to the Award Winners for the year 2013-14. 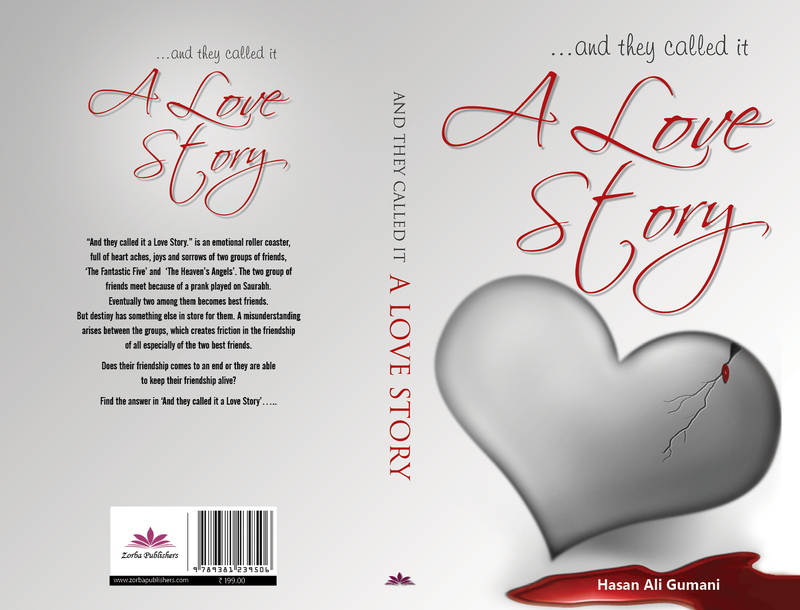 Hasan Ali Gumani, IBS Hyderabad, Class of 2014, Has written a fiction Novel called “…..and They called it a Love Story”. 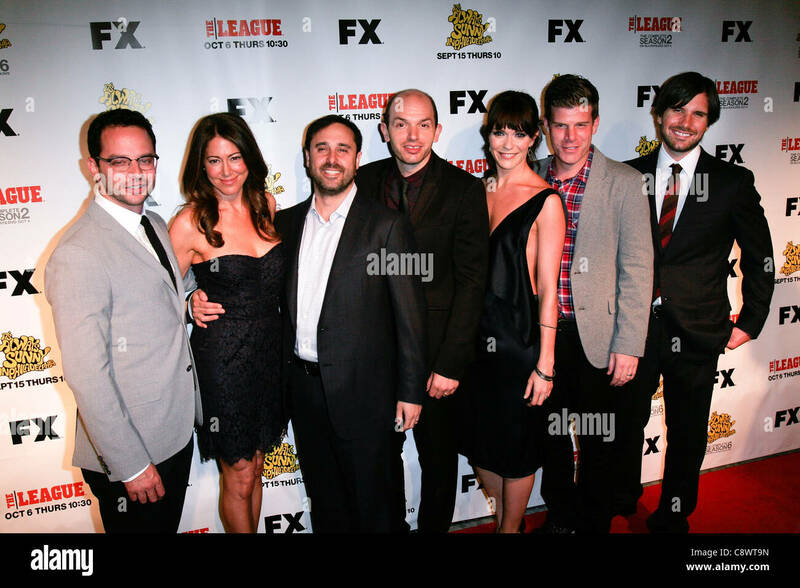 It is a story about two groups of friends who met because of a prank. Their friendship was on high when there arises a friction in the whole group which creates a crack in the whole group specially in that of two who further categorizes themselves as best of friends. So whether their friendship comes to an end or they are able to keep it alive. The answer is in '...and they called it a love story'. Basically, It is an up and down journey of the friendship. The book is now available on major online portals such as flipkart, amazon.in (both paperback and ebook versions), uread.com (national and international) and infibeam.com. 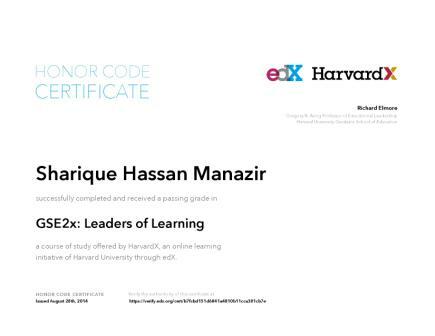 SHARIQUE MANAZIR, IBS Hyderabad, Class of 2013, received Honor Code Certificate from Harvard University Graduate school of Education for successfully completing GSE2x: Leaders of Learning a course of study offered by HarvardX. SHARIQUE MANAZIR, IBS Hyderabad, Class of 2013, received award for UN 2013 Volunteer Award at United Nations Development Programs in India, Headquarters in New Delhi by Ms. Lise Grande UN Resident Coordinator. 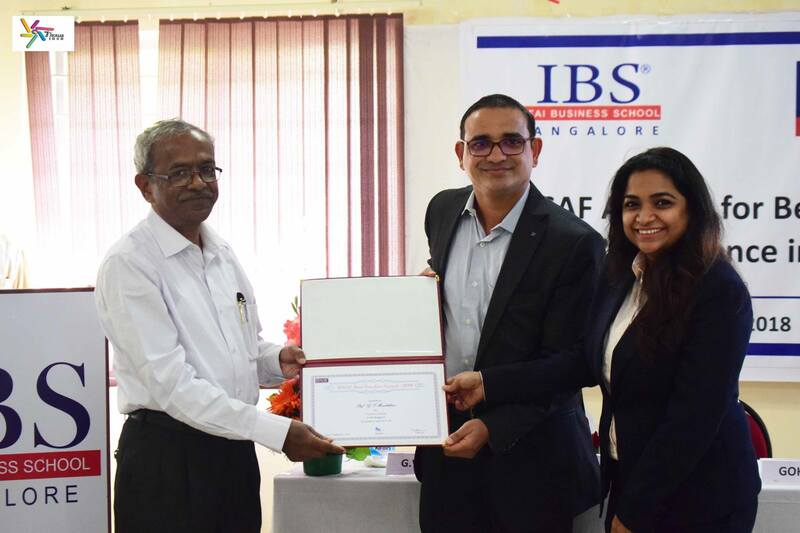 Sukhavasi Venkata Vamsi, from the Class of 1999, IBS Chennai was awarded the Chairman's Council Award. Vamsi works with Citi Private Bank where he has been for the last thirteen years having worked in Korea, India and Singapore where he is currently based. 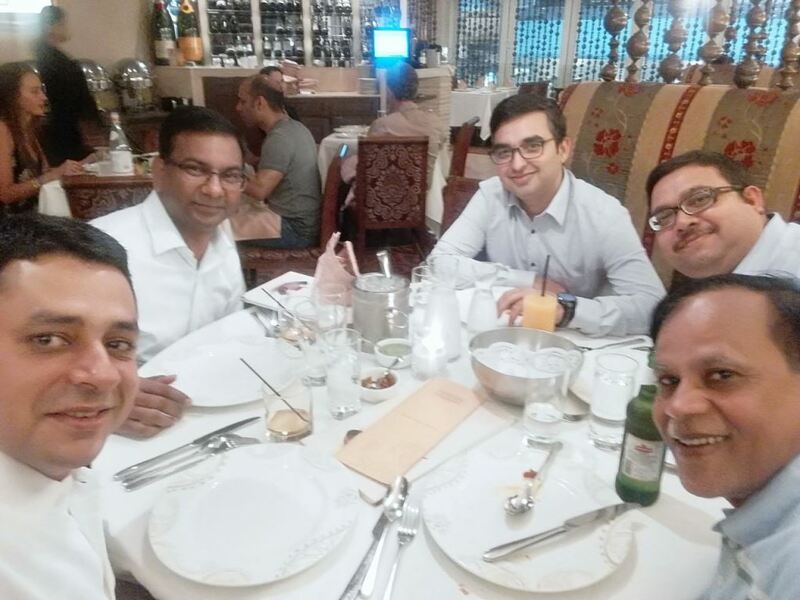 In the picture above Vamsi can be seen with the Chairman, Global CEO and Asia CEO. Debdoot Das, from the Class of 2011, IBS Hyderabad participated in the TATA Business Leadership Awards 2011 - 2012 and won the Western Region Rounds. His team stood at 6th position in the National Finalsamong more than 100 TATA companies. Sonia Dubey, Class of 2009, IBS Pune launched bPOSH a year back with a simple &strong belief that a positive personal & professional image can be created while sticking to your personal style.